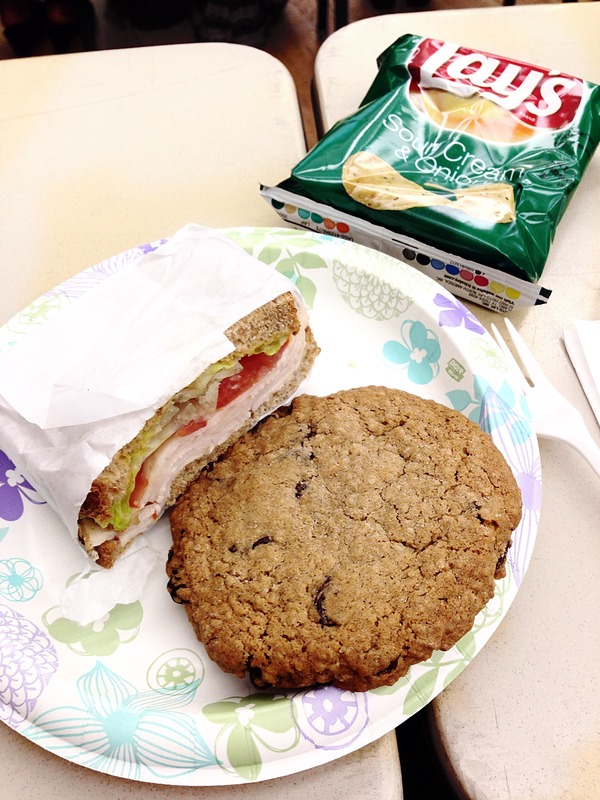 Anyway, I’m going to share a WIAW post today that actually documents my eats from Orientation Day! Now is a good time to share that I will be attending nursing school in the Bay Area and I will be starting next Tuesday! Ahhhh! I’ve experiencing so many emotions and feelings during the past couple months from pure joy and gratitude to intense fear and anxiety. My mind is still trying to wrap my head around the fact that I am about one year away from becoming a registered nurse! This is an accelerated (not abbreviated, as the instructors emphasized) program that is one year because I already have a Bachelor’s in another field and have completed all the prerequisites. Today will be on Orientation day 1 (of 2). It was nice of the staff to provide us with breakfast and lunch, otherwise we’d be starving and grumpy students since it was from 8:30am to 3:30pm. Breakfast was not pictured because I was focused on trying to meet new people and socialize. It consisted of half a bagel with cream cheese, diced fruit, and coffee. 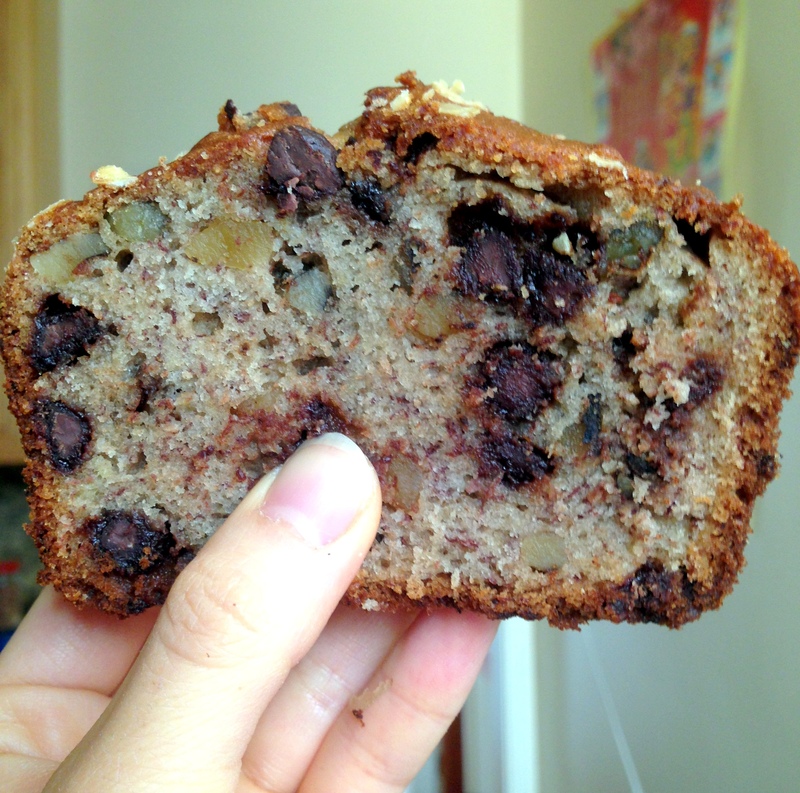 Instead I’ll leave you with a picture of the homemade banana walnut chocolate chip bread I had the morning before. 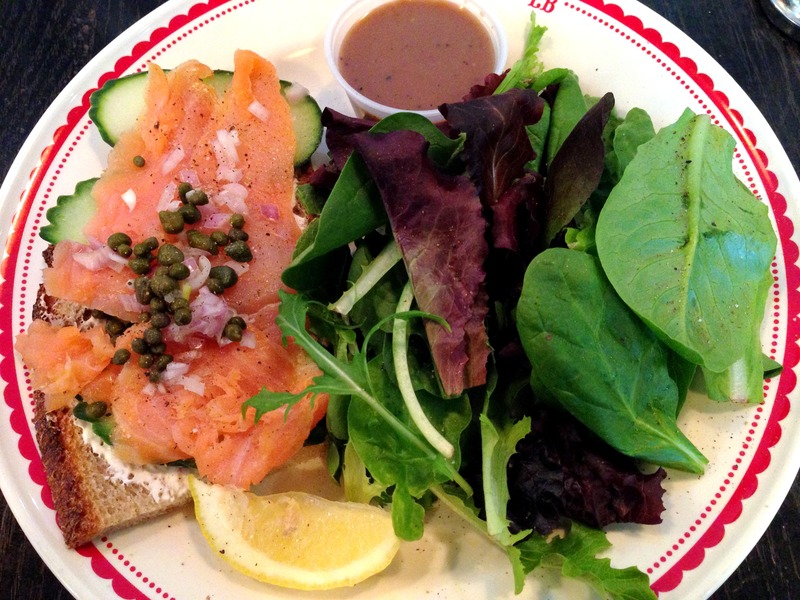 After a day of sitting too long, I decided to treat myself and get a salmon open-faced sandwich from La Boulange. 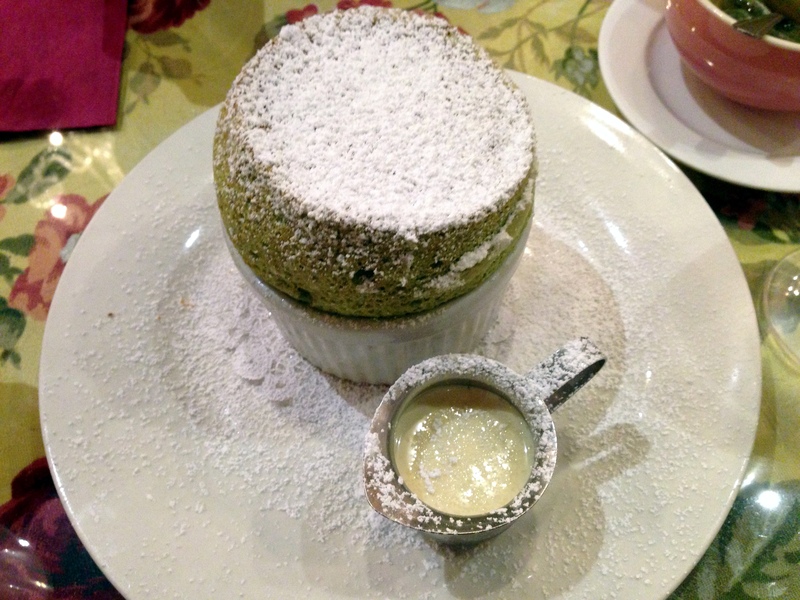 This is one of my favorite dish to get from this cute, French cafe. It has a yummy creme fraiche spread on the bread with cucumber slices, and generous portions of smoked salmon and capers on top. YUM. I also got a warmed bread pudding which was absolutely delicious. 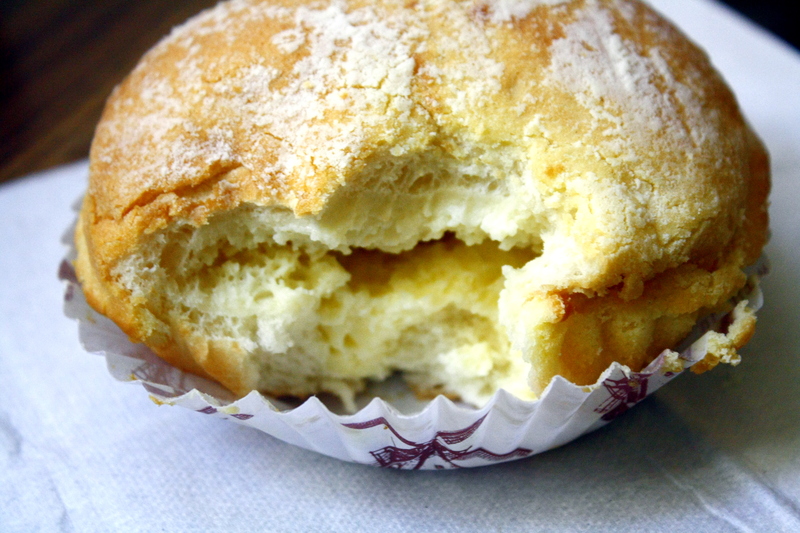 It is made with their delicious and buttery sweet brioche bread soaked in their house custard sauce. 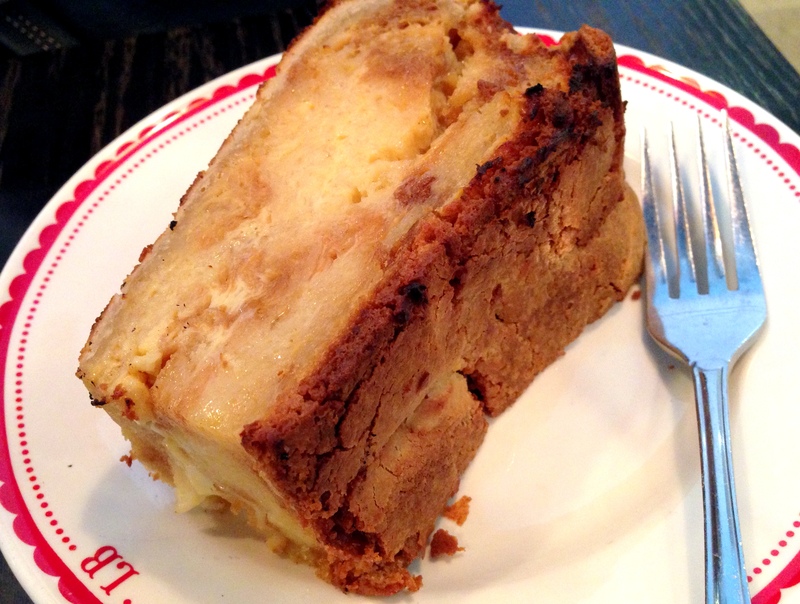 One of my favorite aspect of this bread pudding was the sweet crusty exterior. 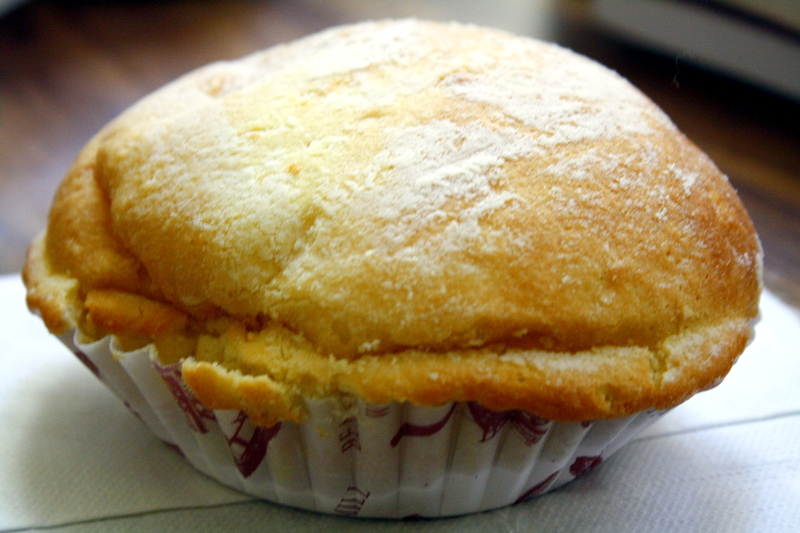 In my opinion, the taste is reminiscent of a Chinese egg custard tart! Have you ever considered going back to school? If so, for what? 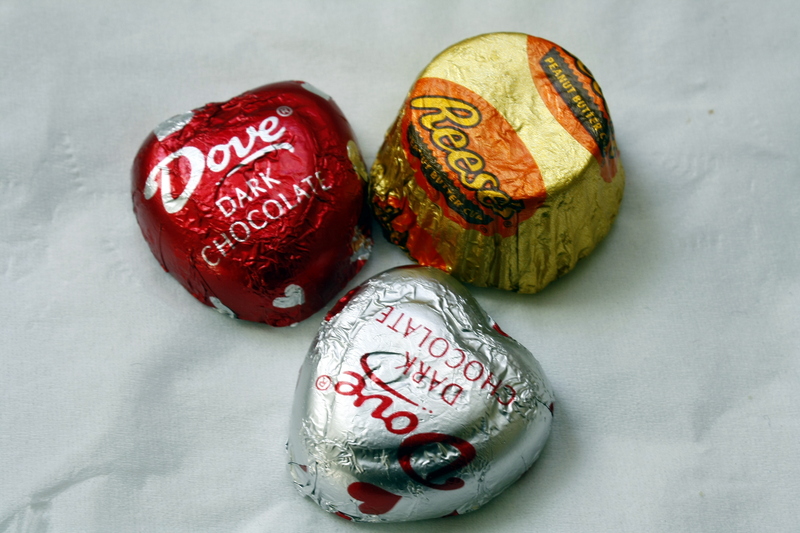 Do you prefer dark chocolate or milk chocolate? Or white? Comment down below, I’d love to know! I don’t know what is it about Spring, but it makes me want to go out and enjoy some good food and treats that really hits the spot. 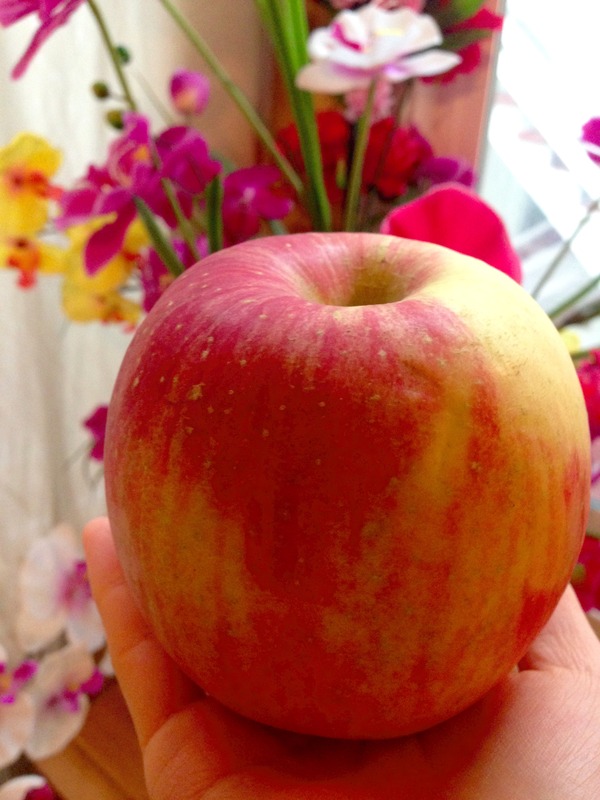 Lately, I have been enjoying lots of food and snacks that are not typical of my everyday eats. Of course, a lot of it is because I’m trying to not be a hermit and instead meet up with some friends to catch up and enjoy some good food. In addition, instead of packing lunch for work, I’ve been hitting up some local cafes and restaurants to try something new. 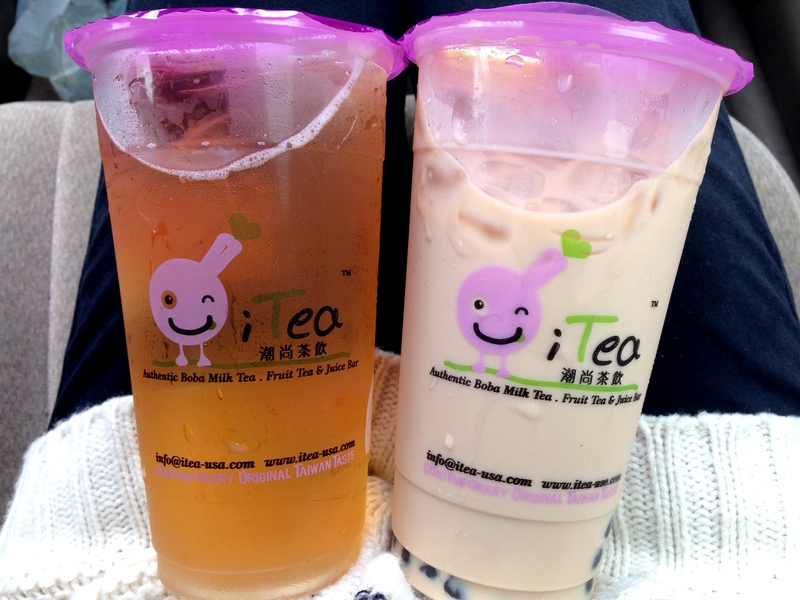 We also tried a new boba milk tea place that opened up in the area. 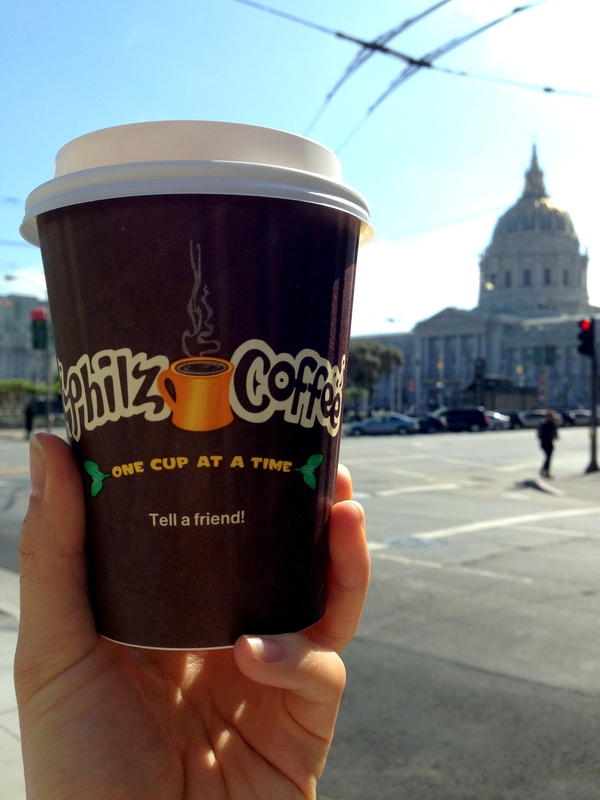 I cannot tell you how excited I was when I finally had Philz coffee the other day. The locations are pretty out of the way for me so I rarely go. Hands down, my favorite place to get coffee. I don’t know how they do it, but every cup is made to perfection. 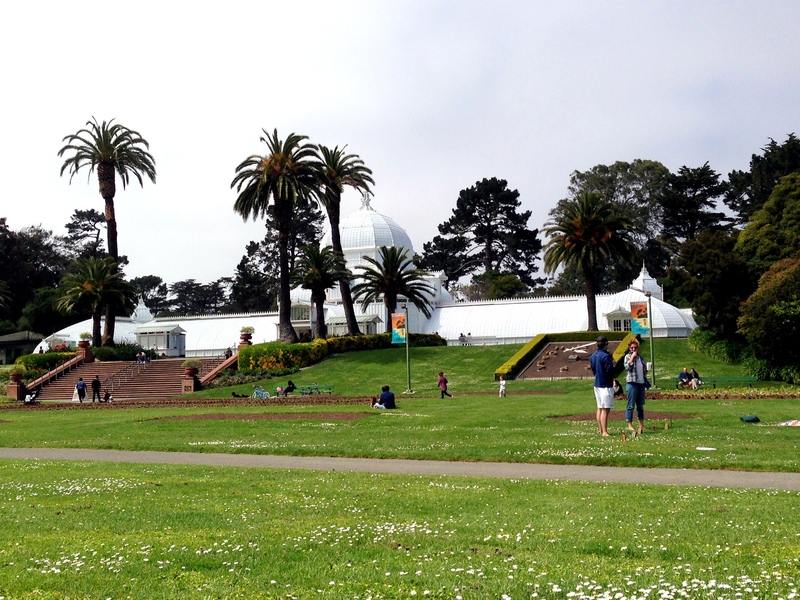 If you’re ever in San Francisco, you must give it a try! I’m not vegan/vegetarian but this spicy black bean veggie burger was the bomb! The cafe is located down the block from my work place. It’s packed with flavor and spice. 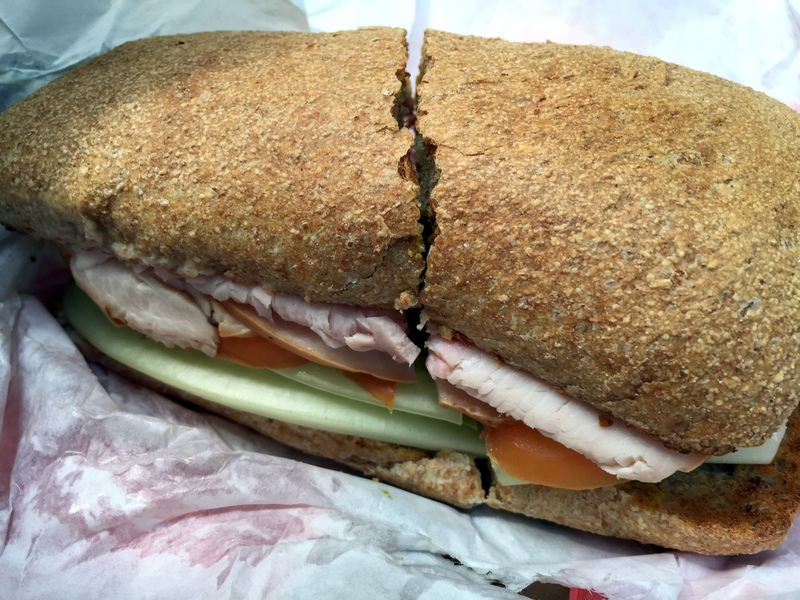 I enjoyed every single bite of this sandwich. It’s made with arugula, avocado, tomato, tomato, PICKLES, homemade black bean veggie patty sandwiched between crispy sliced bread slathered with mustard and mayo. 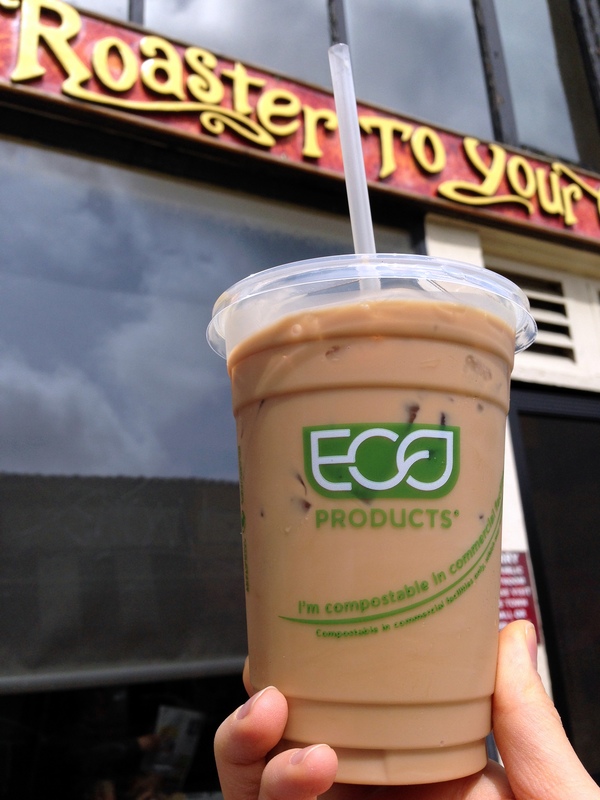 To top things off, all their ingredients are organic and antibiotic/hormone-free! I need to replicate this at home ASAP. Something tells me I should go easy on my coffee consumption. Too much caffeine can’t be good for my body. But it’s oh-so satisfying…especially when it comes with a side of COOKIE! This cookie was so yummy! 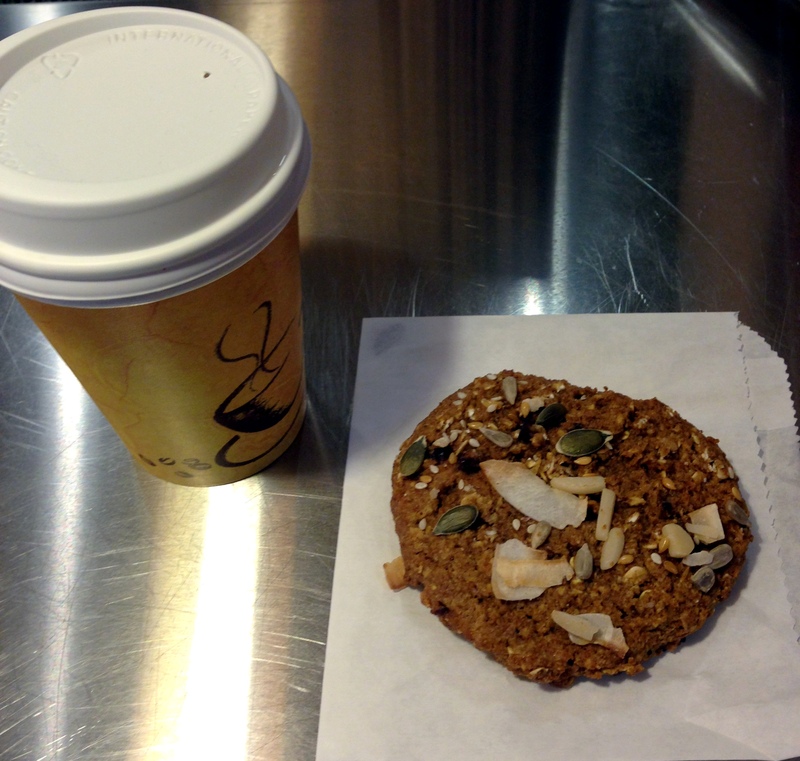 Interestingly, this cookie was dense and soft, packed with whole grains, seeds, and coconut shreds. I finally got the chance to check out this super popular French bakery called B. Patisserie, which is known for their Kouign Amann. Now I understand why these babies sell out so quickly. Its layers of butter and sugar gives it a wonderful flavor and the crispy crystallized sugar layer on the bottom gives it yummy caramel flavor and a nice crunch. 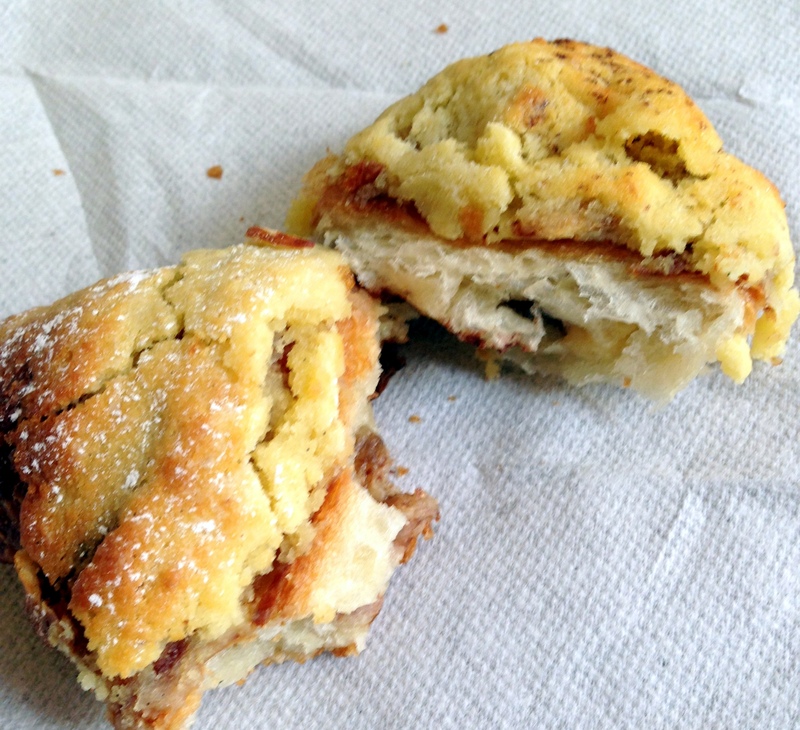 I also tried their popular chocolate banana almond croissant which was simply awesomeeeeeee. 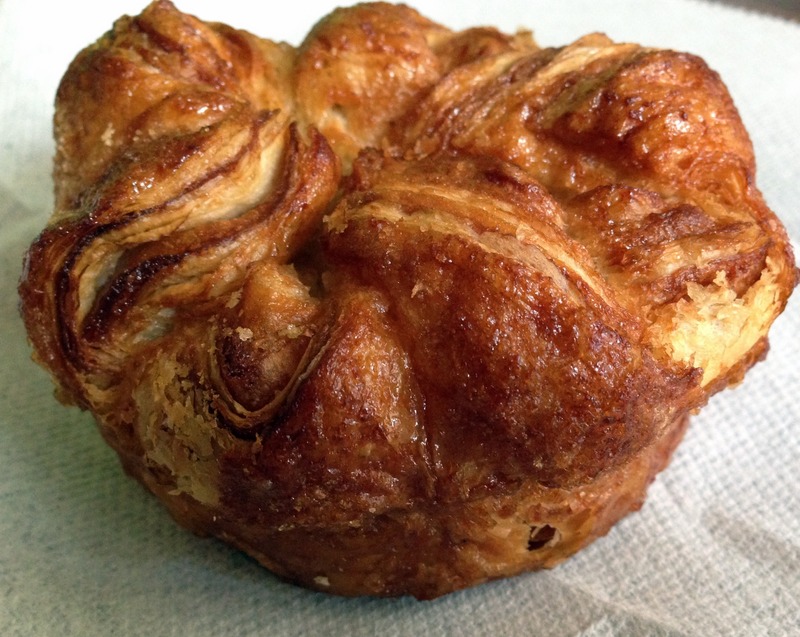 I’m not a fan of plain croissants, but this one made me a fan of this one. Banana and chocolate go so well together! 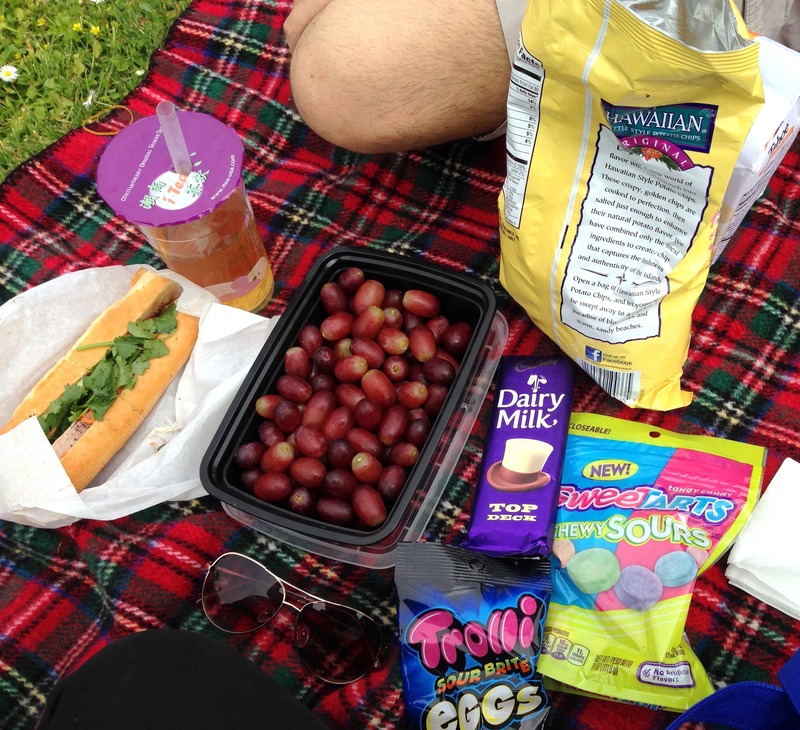 What are some of your recent favorite eats? How do you relax and experience peace in your life? 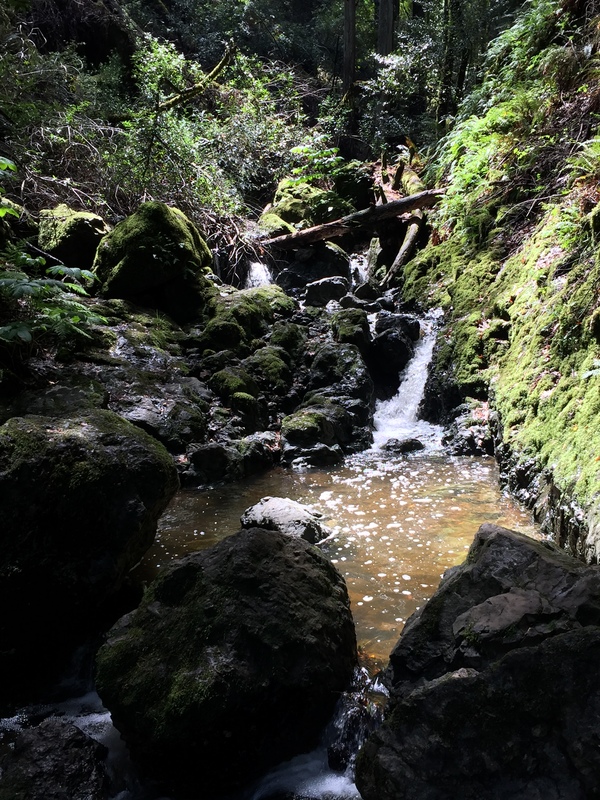 One thing I loved about this hike was the constant change in scenery with each trail we took. Each one was equally as breathtaking as the next. 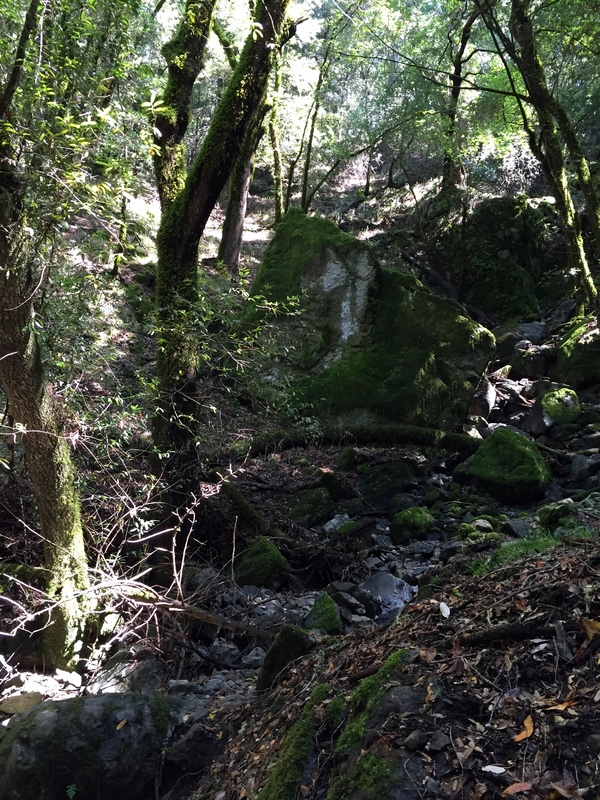 The first trail took us along Cataract Creek as we hiked through lots of stairs and rocks. 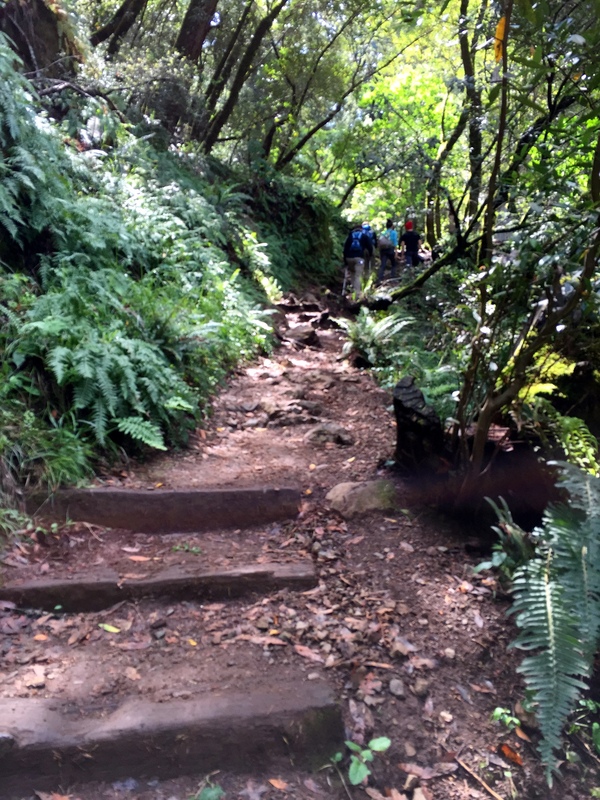 It was quite a challenge to climb up the rock steps with my short legs LOL. 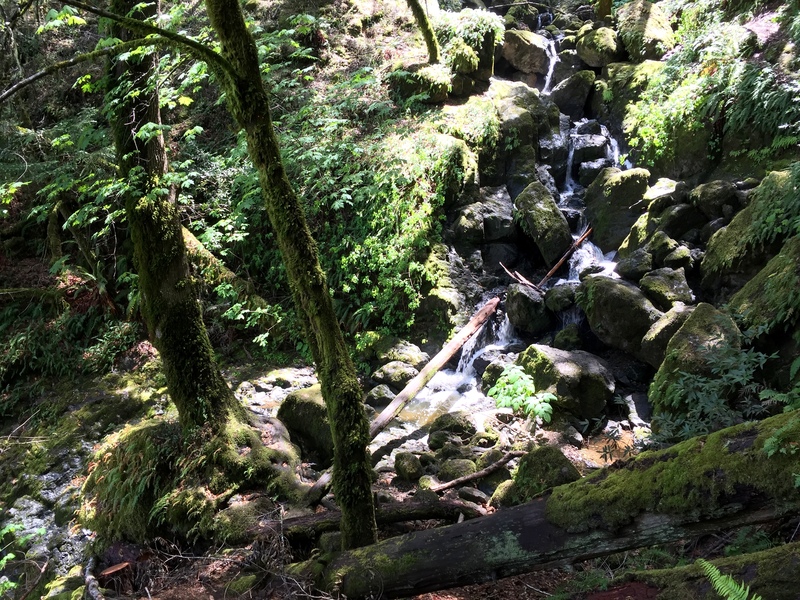 We were surrounded by nothing but towering trees, overflowing small creeks and ferns, and cut down tree stumps and logs that seem to decorate the trail. Suddenly we heard it. 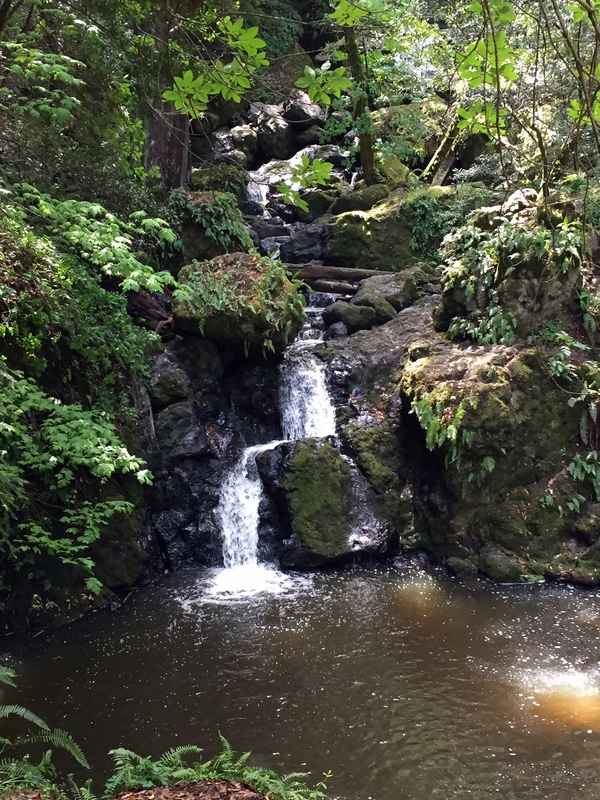 The sound of water falling. It was such a comforting sound. 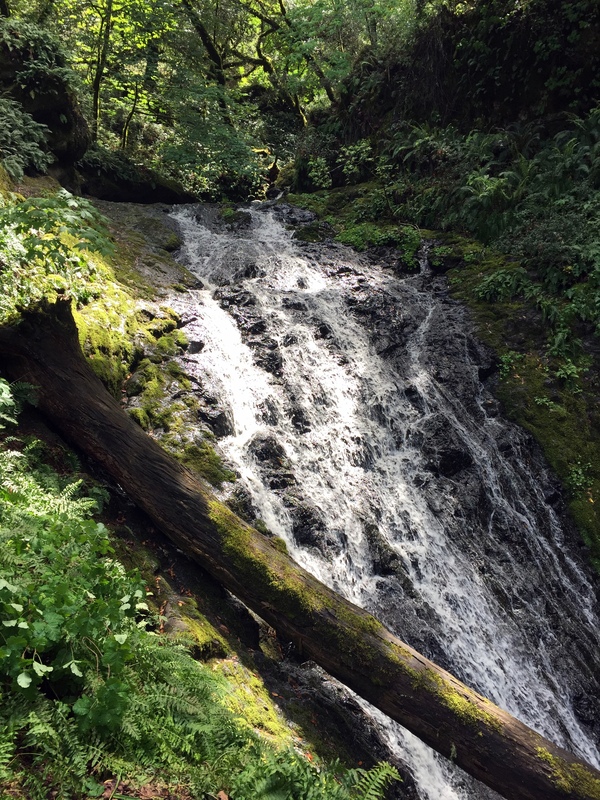 We saw a series of beautiful waterfalls – my first time seeing actual ones! 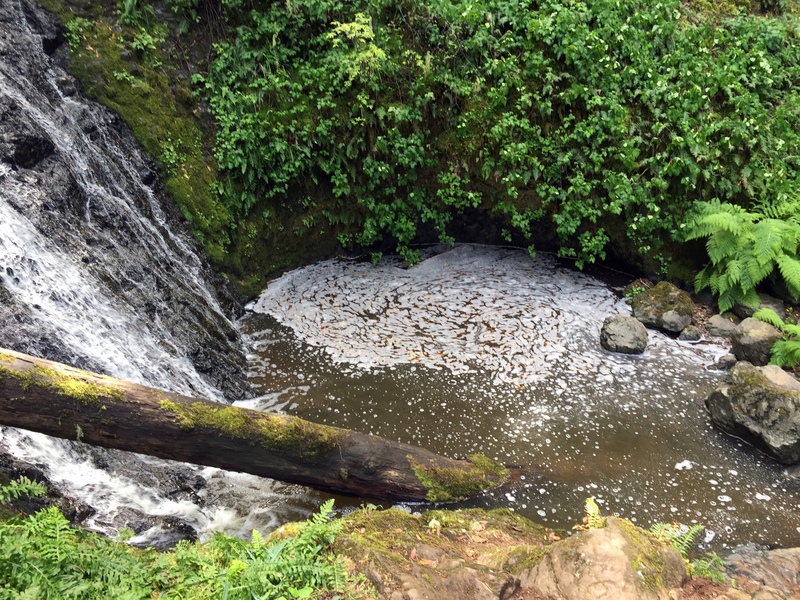 Each one was unique in the way the rocks allowed the water to fall. 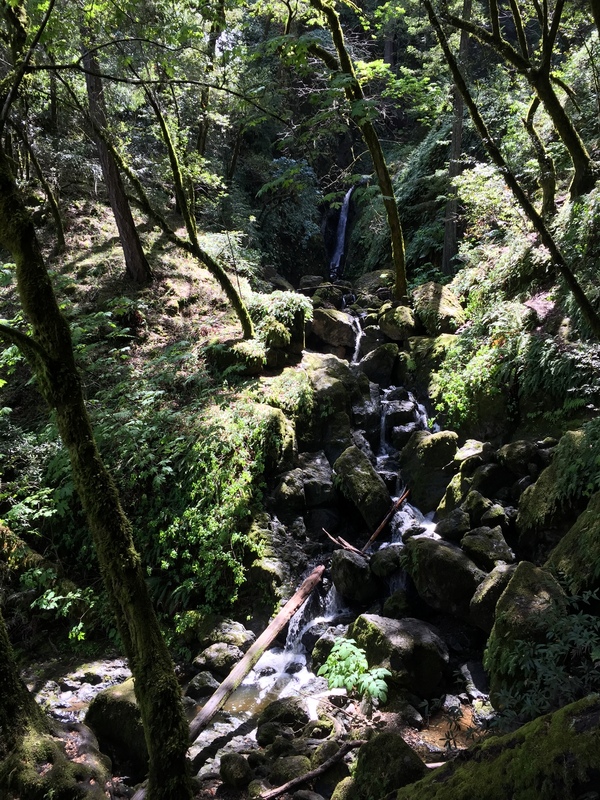 At this point, I was really grateful for being on this hike, because it felt great to get away from the city and take in some unpolluted, fresh air. It was a wonderful stress-reliever for me since I haven’t been feeling the best recently. At the end of the first trail, we were already pooped and made a quick stop for lunch. I told my boyfriend that, knowing myself, I’m not sure if I’m up for the next 6 or 7 miles that was left. (We could’ve chosen an alternative shorter path that was 2.5 miles in total). The first part was already pretty tough. 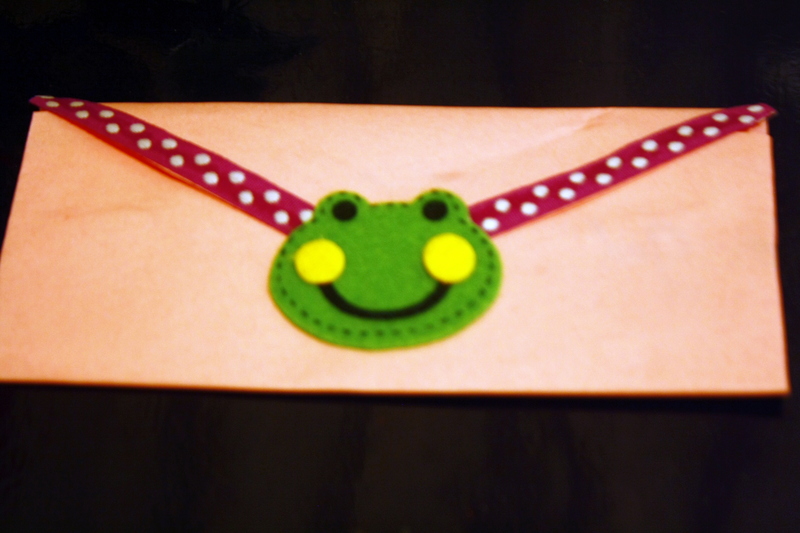 But with some encouragement, I made through the whole thing! I was actually about 10 miles in total! We didn’t see that coming HAHA. 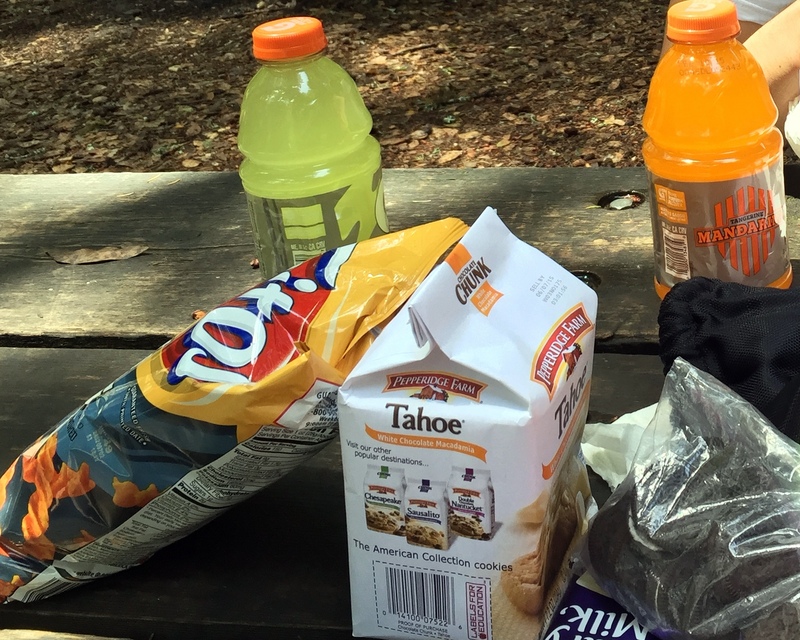 snacks for our hike. Fritos twists are so addicting! we were so high up in the mountains! I love the warmth from the sun that we felt here. 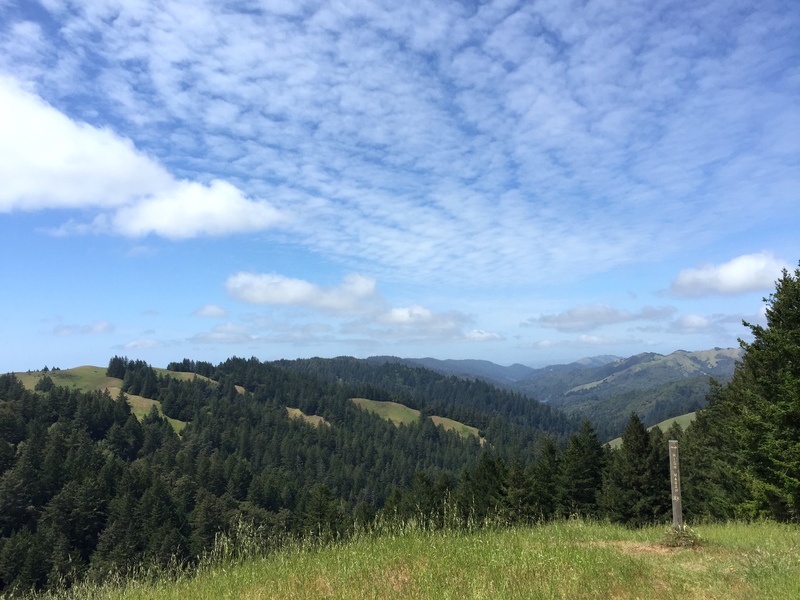 The next part of the trail took us into a wide open space with a grand view of the valley that traversed through the giant green hills and mountains and led us straight into the woods lined with red manzanita trees. 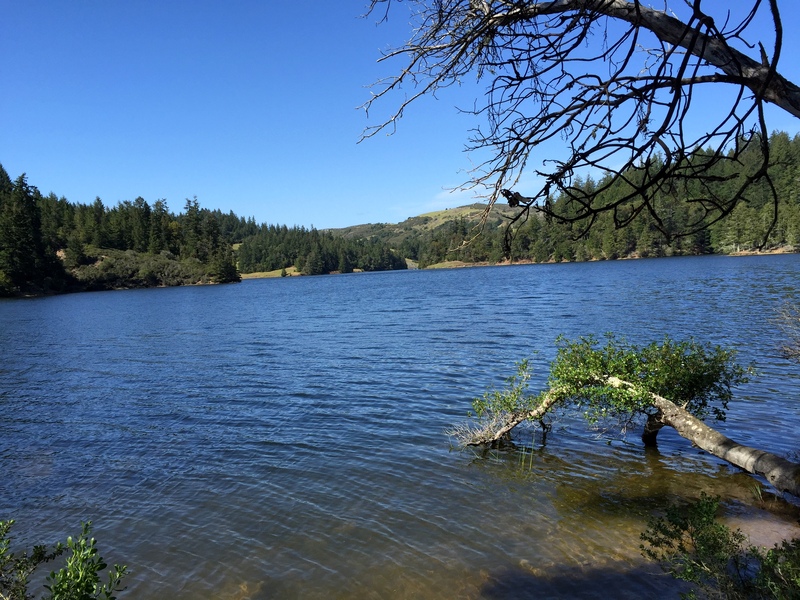 Towards the end, we caught beautiful views of the lake. Alright, as someone who does not do regular exercise on a daily basis, my body was absolutely drained by the end of the hike. The hike was intense not only because it was long, but also because we were constantly hiking uphill as well as downhill. Sometimes to shorten the struggle of going uphill, we would make a sprint for it. That was so fun! The downhill part was eventually started to irritate our knees from the force of impact. The hike is definitely not good for those with bad knees haha. At the end of our hike, we were so pooped that we took a half hour nap in the car. 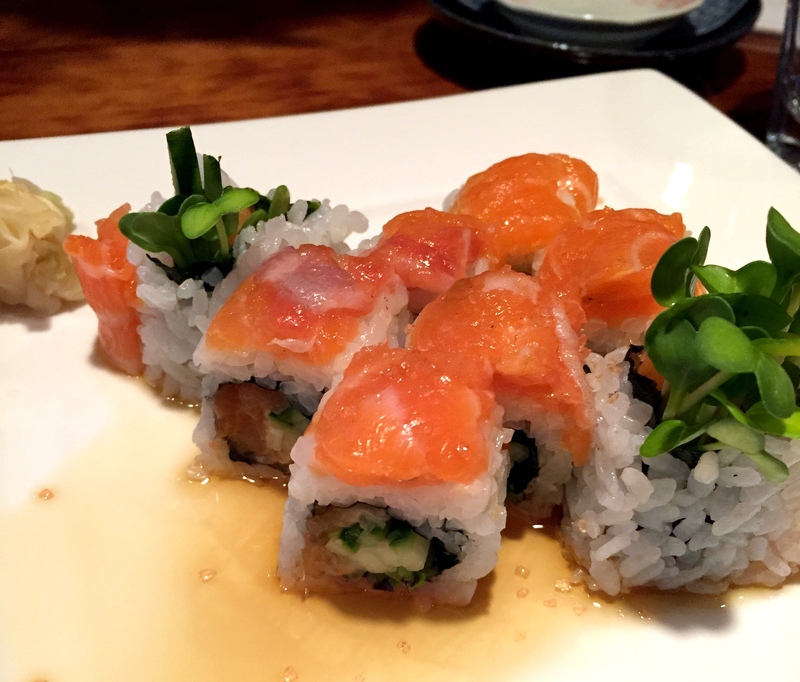 THEN we indulged in some delicious SUSHI for dinner! We worked for this. 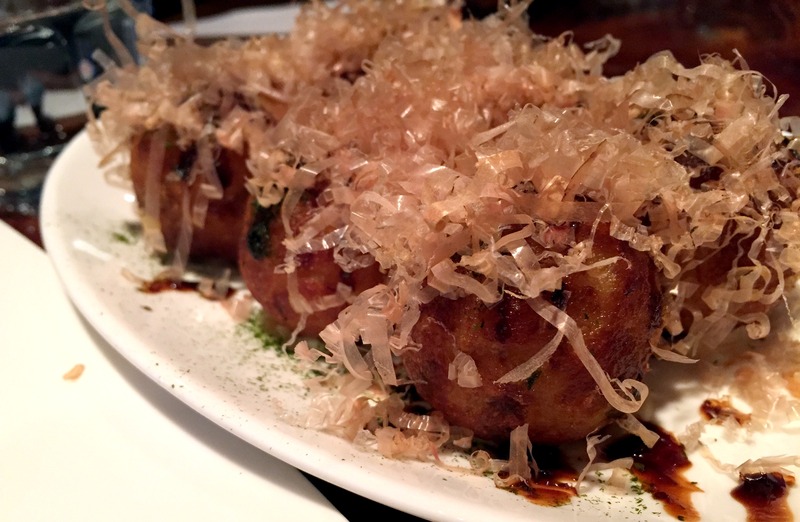 Takoyaki – fried dough with octopus. 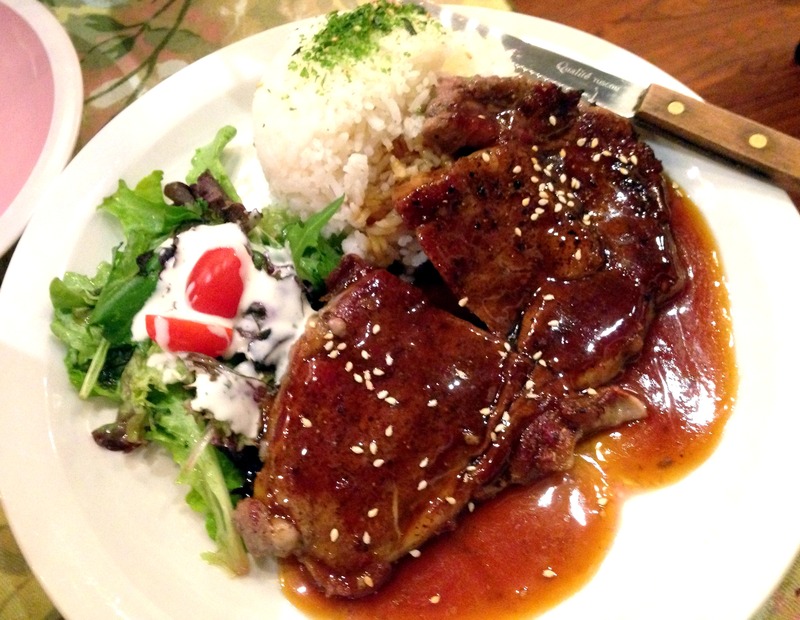 Besides salmon, my favorite fish is unagi. Drool-worthy. 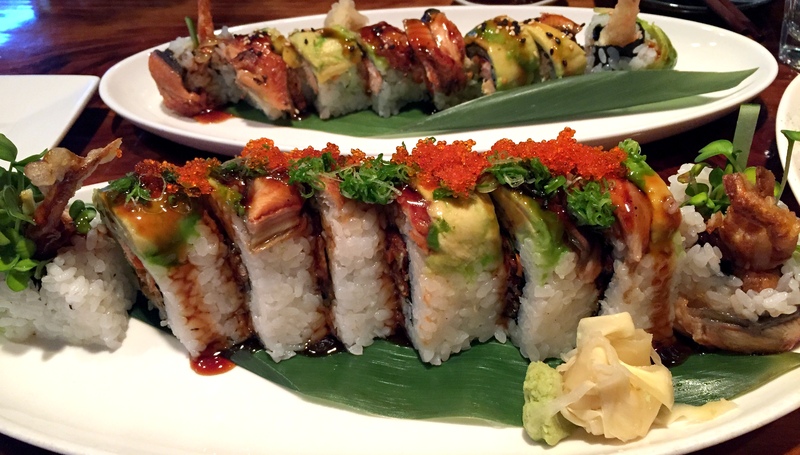 This roll was humongous! And also my favorite dish of the night. Tried to fit the whole thing in my mouth…and failed. Today, I woke up feeling sore all over my body. I tried very hard to not fall alseep during Sunday service LOL. I haven’t felt this sore in a long time. I love the feeling! Thanks for reading through this long post! I hope you had a beautiful weekend! What are some of your weekend highlights? Do you like the feeling of soreness after a good workout? How do you deal with it? 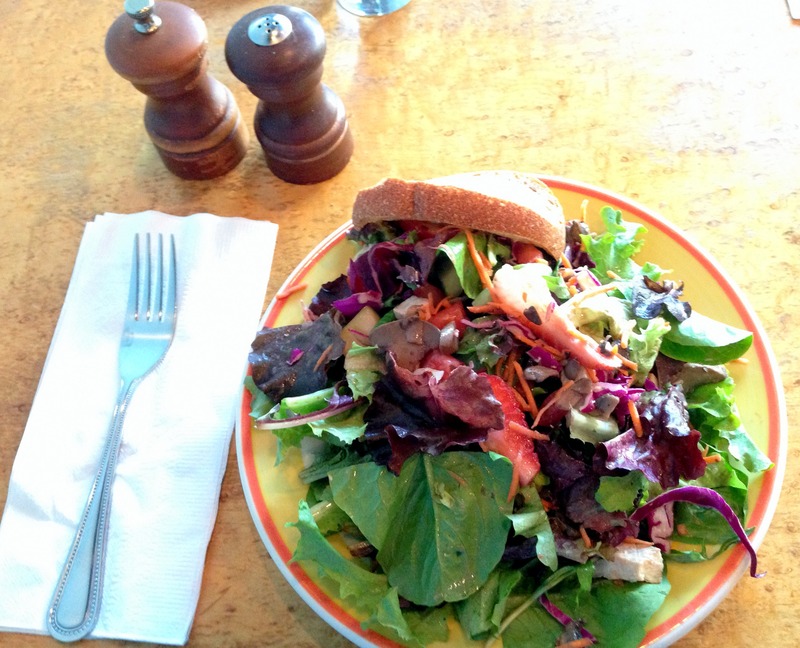 Welcome to my first What I Ate Wednesday (WIAW)! I discovered this series through Jenn from Peasandcrayon, the creator of WIAW. Recently, I’ve been intrigued by the daily eats of other people, so I love reading posts about other bloggers’ food experiences whether they be mundane or totally adventurous. I tend find much inspiration and encouragement from other bloggers whenever I read about their attempts to stay healthy and fit or when they take a stab at developing an awesome recipe. Sometimes I like reading WIAW because I’m just well….nosy. 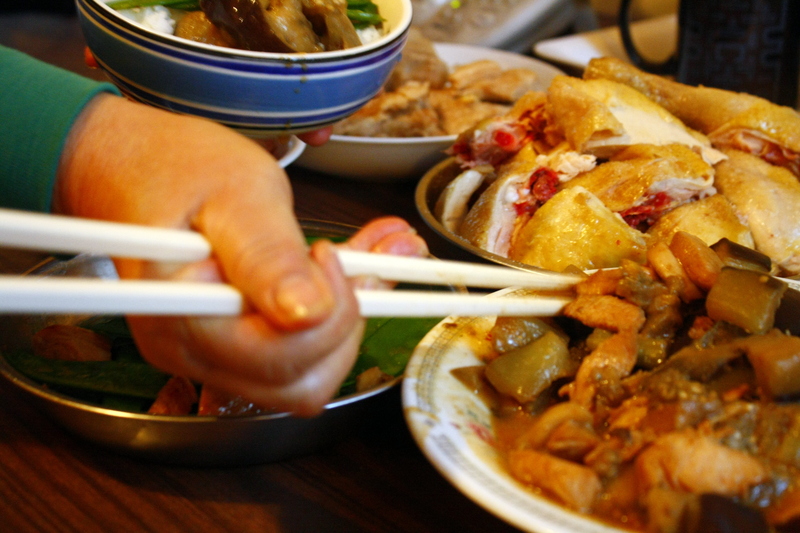 😛 But I think most of all, I like learning about the differences in eating patterns and habits of those from different cultures or lifestyles, especially when there’s a story or explanation that comes attached to the food. I tend to eat the same or similar meals/snacks every day, so I don’t think I’m going to do this regularly. 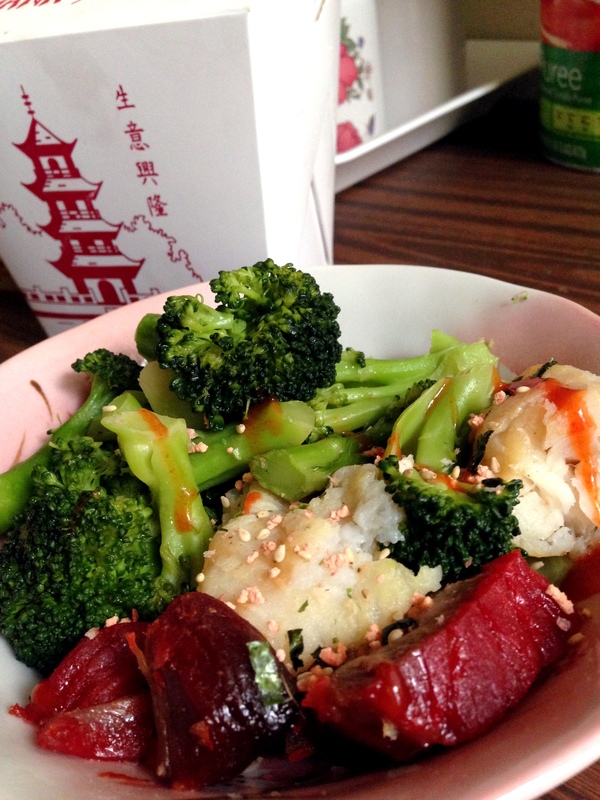 However, I am beginning to vary things up a bit…to be honest, I’ve been craving variety in my meals and finding ways to really enjoy my food. Without further ado, here we go! I chugged a large cup of water as I do every morning after I brush my teeth. I always wake up feeling super thirsty. Breakfast consisted of a green smoothie – a blend of frozen banana, spinach, chia seeds, ground flaxmeal, yogurt, green tea, carrot, and cinnamon. SO YUM and filling. I enjoyed this at the office in between tasks. 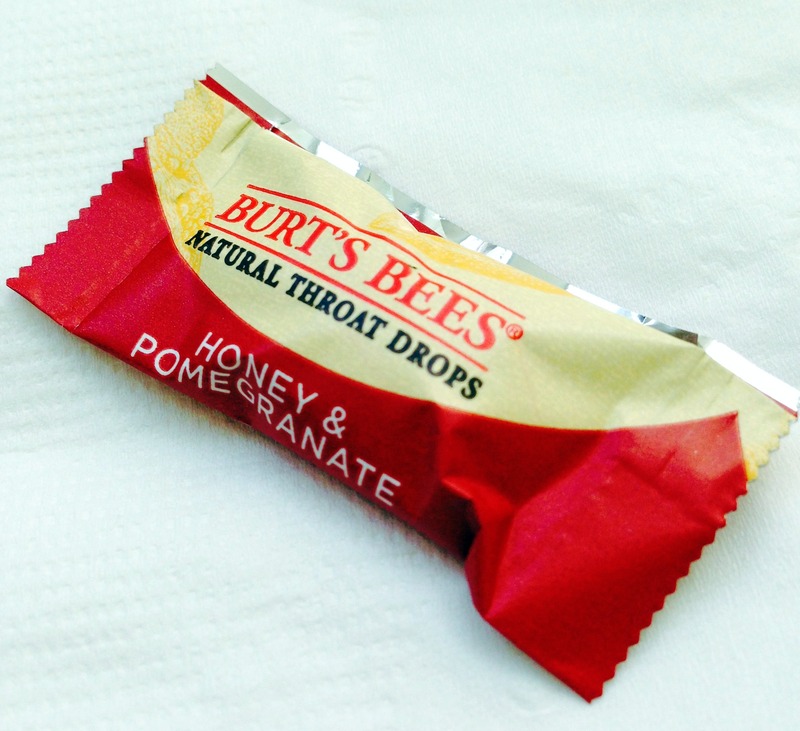 I also had a few pieces of chocolate and a throat drop (because I’ve been sick lately) before lunch time rolled around. Probably not the best combo but whatever. For lunch, instead of making my usual plain sandwich, I wanted to try something new and bought a super veggie sandwich. 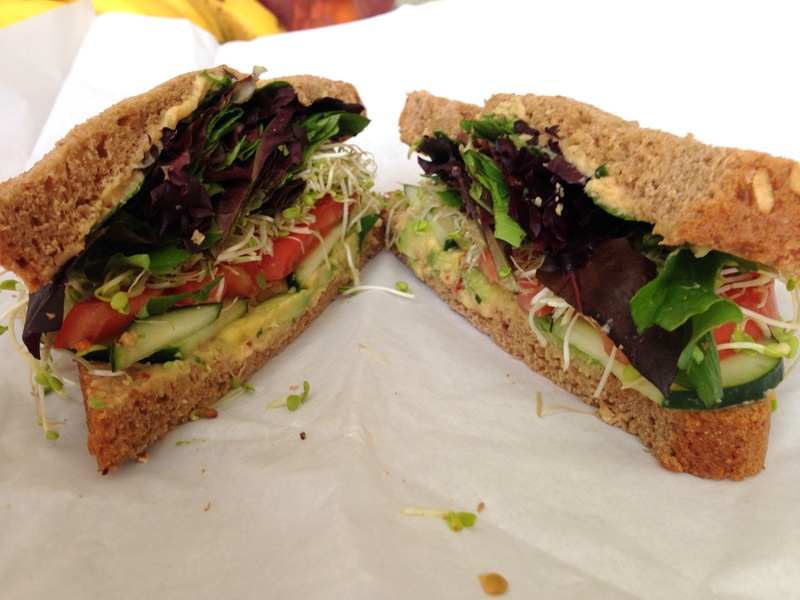 It consisted of avocado, roasted red pepper hummus, sprouts, mixed greens, tomato, and cucumber on whole wheat bread. In my opinion, the sandwich was kinda dry, so I added some mustard and ketchup (my two favorite everyday sandwich spreads!). Wednesdays are short days for me so I decided to hit up a local coffee shop to read and enjoy some delicious cappuccino. I saw a huge jar of triple almond biscotti and couldn’t take my eyes off it. I debated whether to purchase it or not as I didn’t feel hungry and it was an additional $2.00. I got one anyway. 🙂 No regrets. 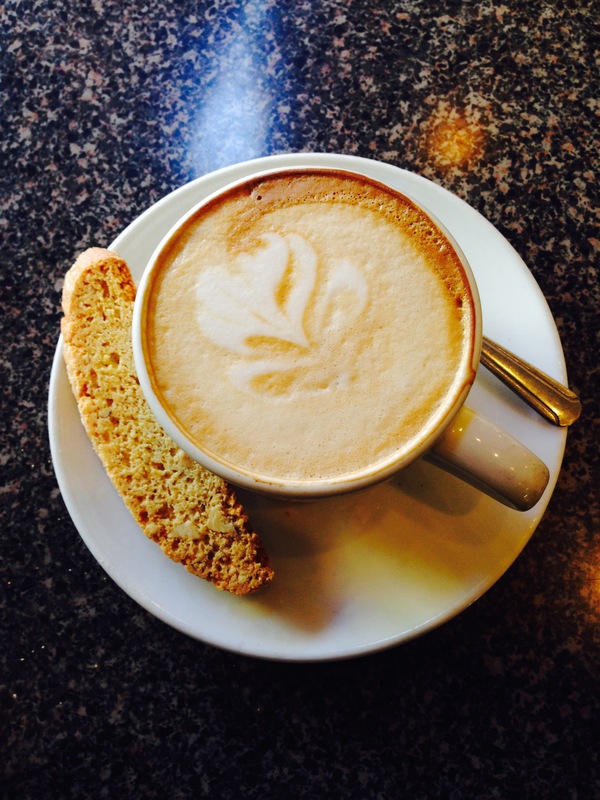 Coffee and biscotti just go SO well together. 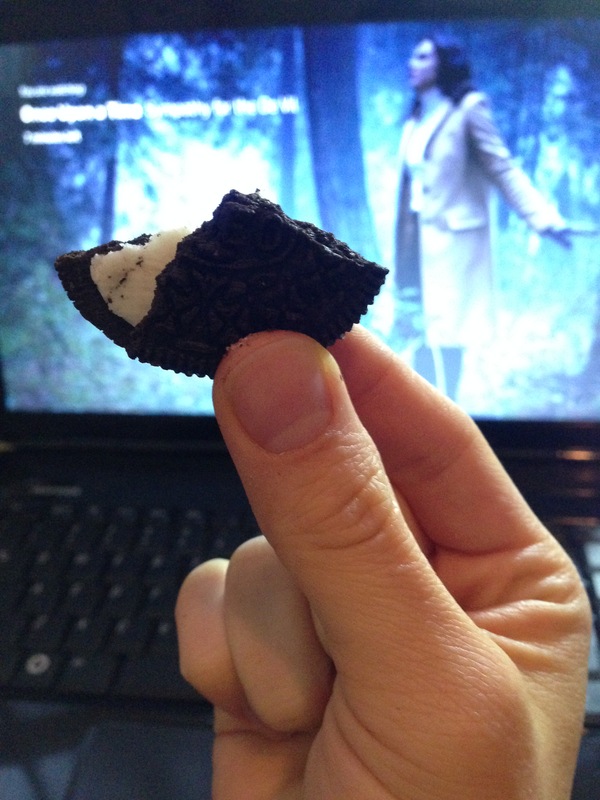 A little later, I had an apple and some oreos while I caught up on Once Upon A Time. 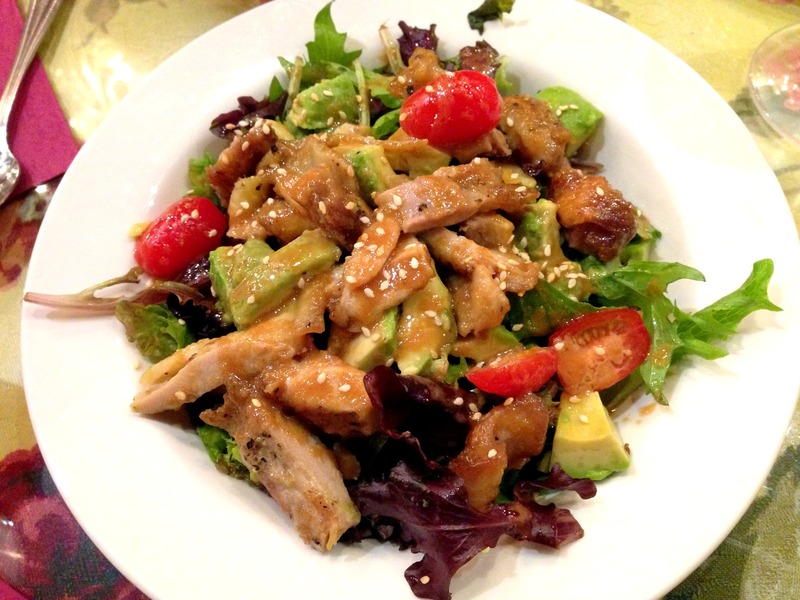 How have you been changing up your eats lately? Do you watch Once Upon A Time too? What other TV shows do you watch?? 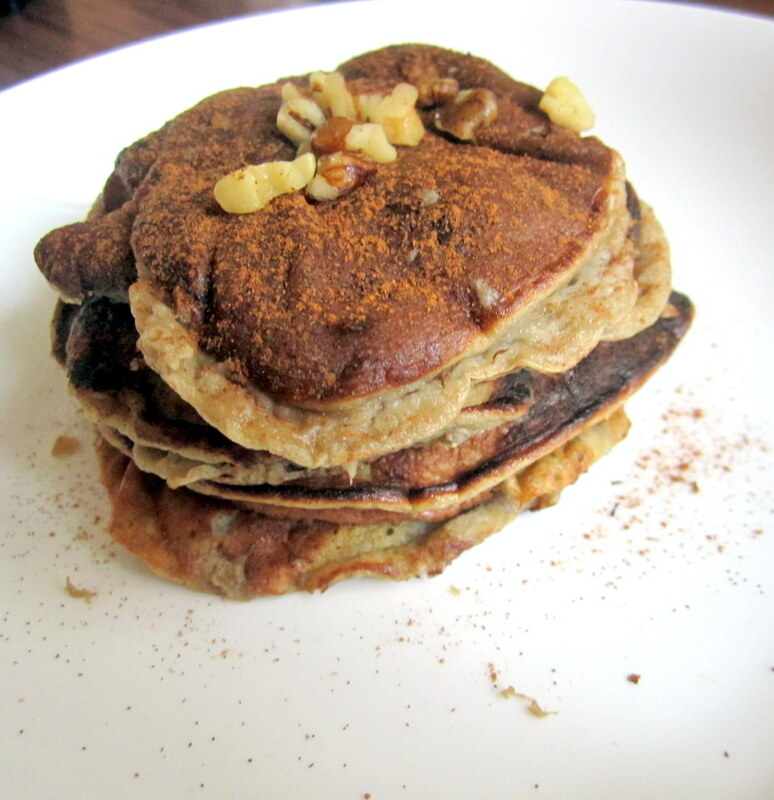 Whole Wheat Banana Pancakes – I love breakfast! Happy Saturday everyone! It’s such a beautiful day today that I felt like making some yummy pancakes this morning! I’ve never really made pancakes from scratch before. In the past, I wanted to make a healthy version using whole wheat white flour, but it just didn’t turn out right for some reason. Recently, I’ve been exposed to a whole new world on instagram of users who create stunning breakfast posts that are filled with fun and vibrant colors, intriguing textures, and creatively using healthy and natural ingredients. Everything I saw was absolutely drool-worthy. I don’t follow a raw or vegan diet, but boy do some of the food they make look absolutely delicious. One particular user that I follow has a food blog and I decided to try her whole wheat pancake recipe. I tweaked it a little bit because I was missing milk, and I wanted to personalize it to my liking. I roughly followed her recipe because I was too lazy to measure things out accurately LOL. However, I was SO happy with the final product; I shared it with my mom and she was a fan too. 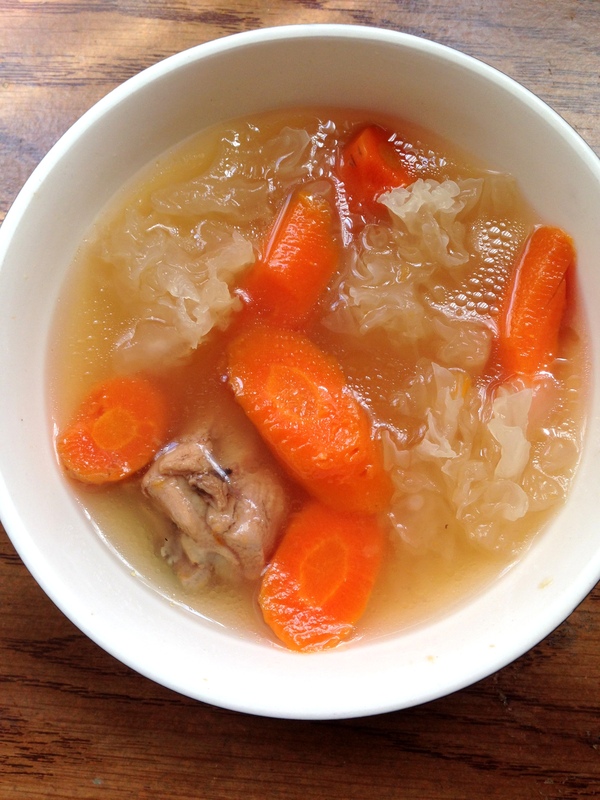 Without further ado, here’s the adapted recipe. Whisk together dry ingredients in a mixing bowl. In another bowl, whisk together yogurt and milk, then add in egg and oil. Whisk well. Heat up your pan and once hot, drop some oil on top and tilt your pan to grease the surface. Turn heat to low. 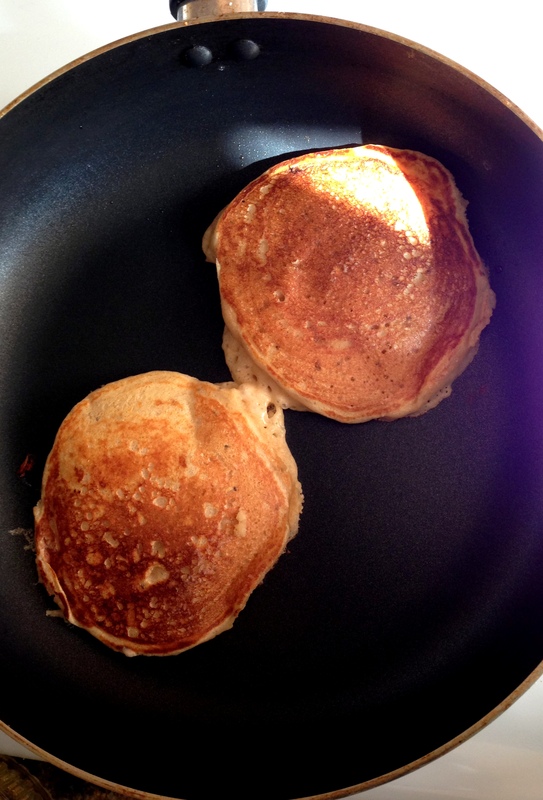 Drop large spoonfuls of your batter on your pan and gently spread into a pancake shape. Cook each side for about 1 to 2 minutes. Flip when bubbles appear and the edges look dry. 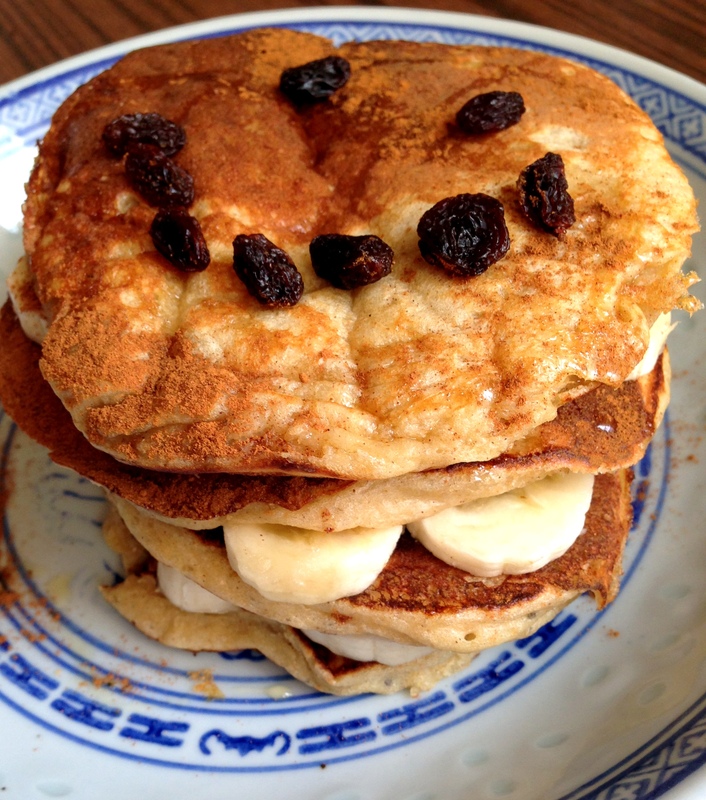 I placed sliced bananas on top of each pancakes and stacked them up. 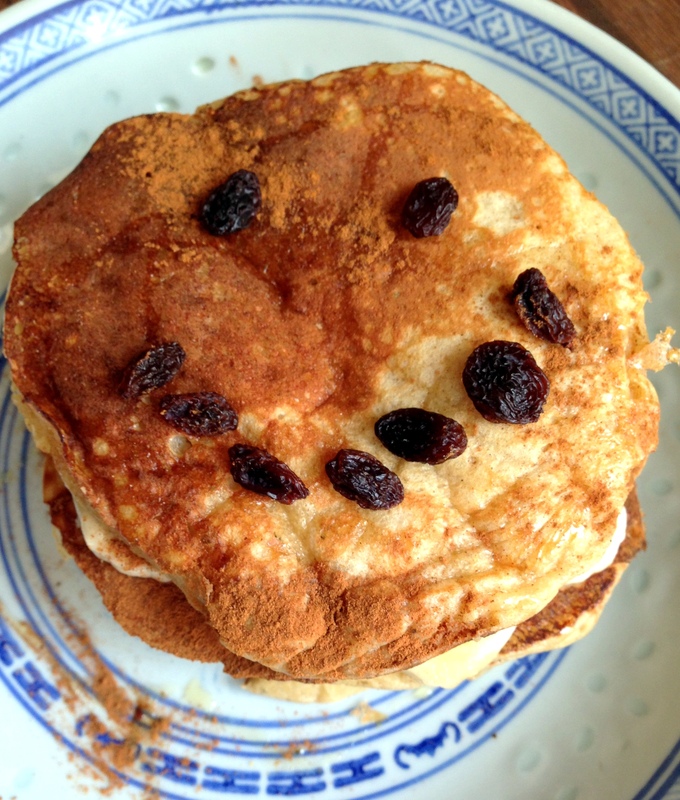 I sprinkled some cinnamon and raisins on top and some drizzled honey over the pancakes. My pancakes lost some heat so I placed the whole thing in the microwave for a few seconds to warm up the bananas. 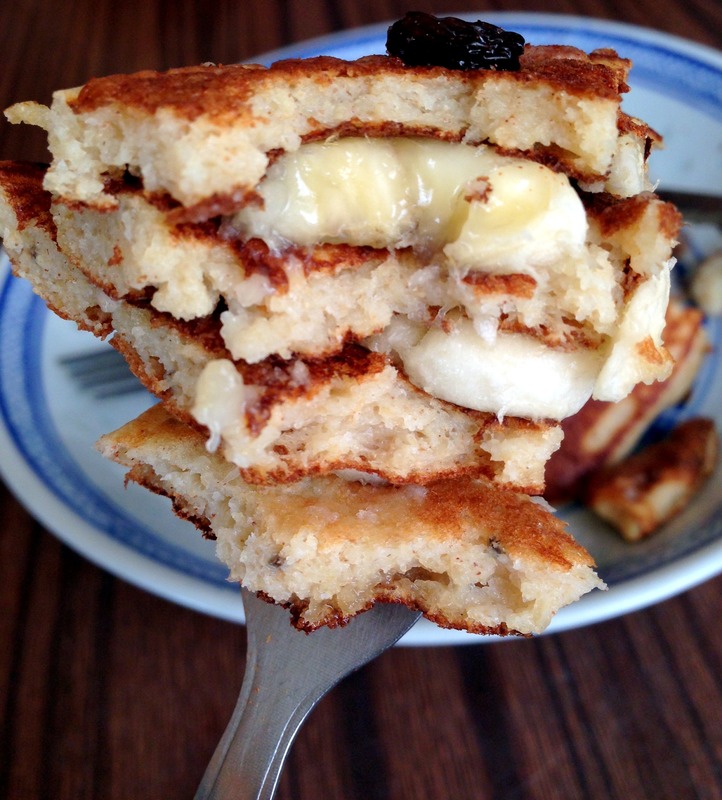 These banana pancakes were delicious! Makes me even more happy at they’re pretty good for you. I love the look of stacked pancakes….such a classic American breakfast…and I got to slice and eat through a stack of pancakes for the first time! I might sound like a deprived child, but I never grew up eating pancakes, and I rarely go out to diners and breakfast cafes. This was definitely a yummy treat. Recently, breakfast has been my favorite meal of the day. There are so many options to choose from and it generally requires very little prep and effort to put together. And I love that I can play around with the different components to make it look extra pretty. 🙂 It makes the breakfast experience so much more enjoyable! Ever since I started my new part-time job, I’ve been dedicating extra time in the morning to get ready and then enjoy nice meal to fuel me until lunch time rolls around. Here are some of my breakfast eats recently! My all-time favorite fruit are blueberries and I love eating them partly frozen with greek yogurt, sprinkled with walnuts and chia seeds. On this particular morning I also decided to treat myself to some yummy chocolate. SO gooood. My mom and I love to make hot banana oatmeal in the morning. 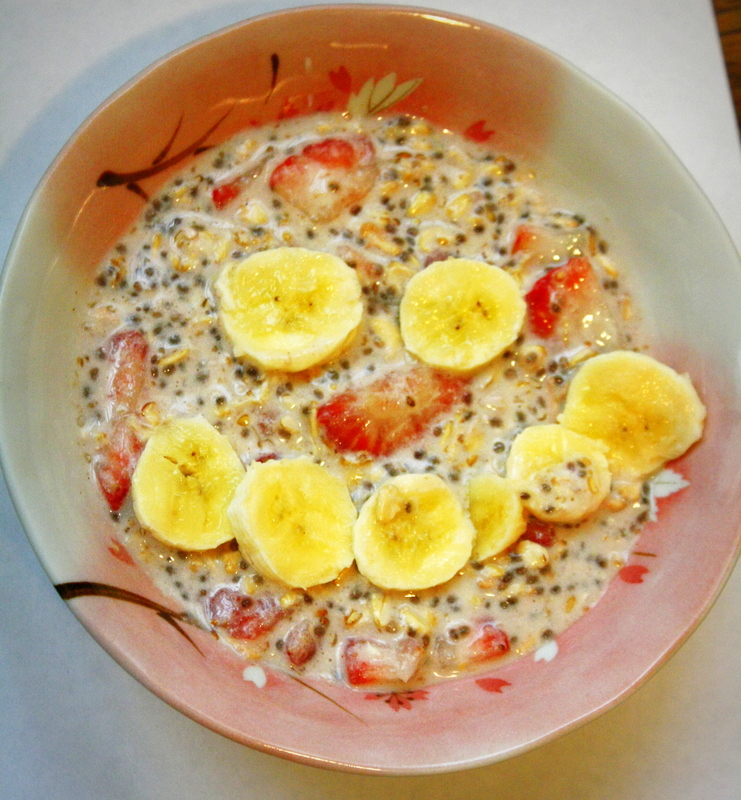 The banana gives the oatmeal such a delicious natural sweetness as it cooks with the oats. 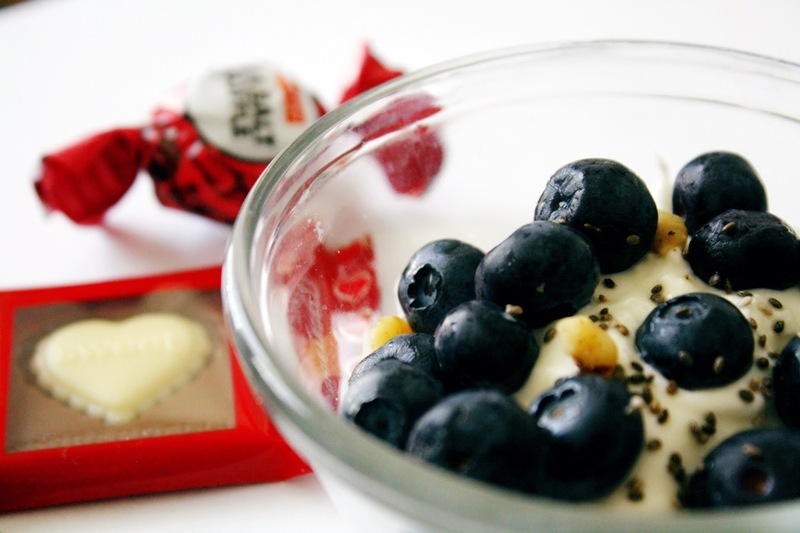 Our favorite add-ins are raisins, chia seeds, and cinnamon. 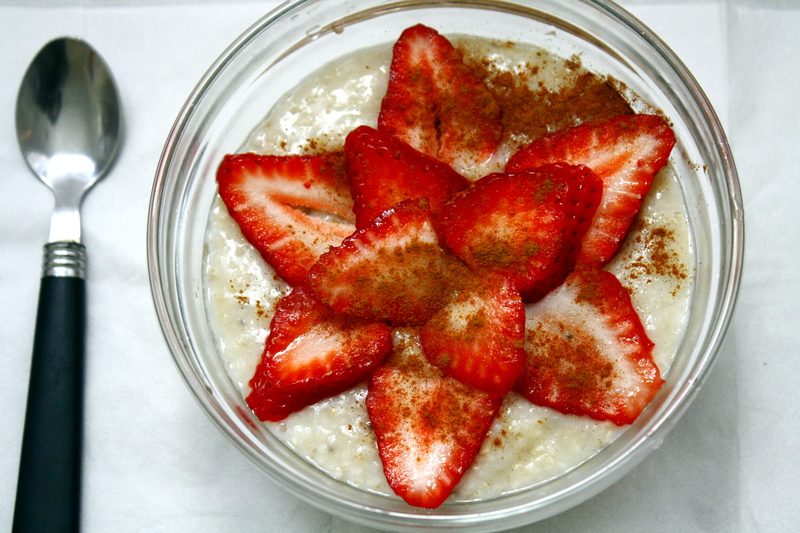 This one below has chia seeds, ground flaxmeal with layered strawberries and cinnamon sprinkled on top. Sometimes, in the morning I grab some Starbucks before work. My favorite hot drink is their soy cappucino. Such a satisfying drink! Anyone ever have a barista totally get their name wrong? I guess “Anna” was mistaken for “Emma”. Strangely, I didn’t really mind; I kinda liked it! 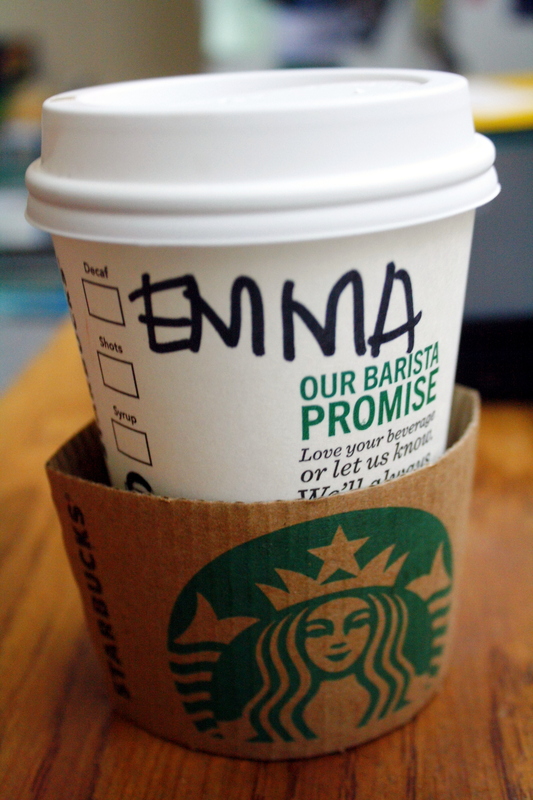 Maybe I secretly wish my name was Emma. 😀 What’s your favorite Starbucks drink?? 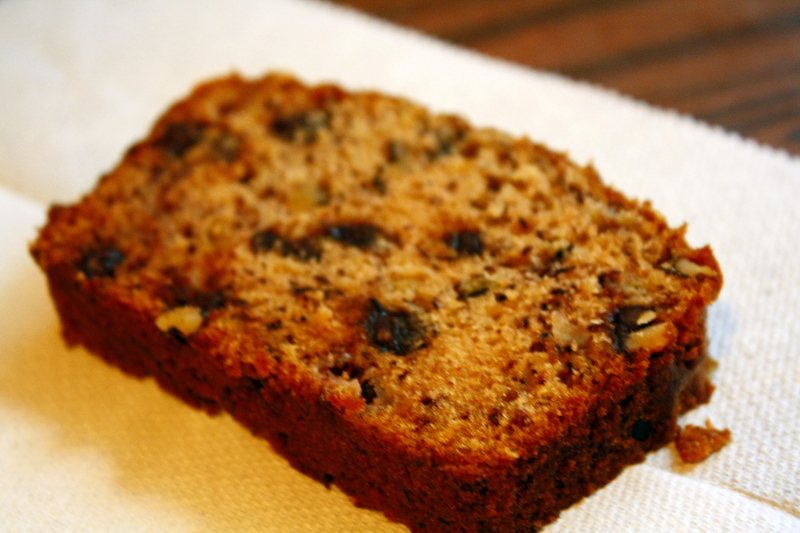 Forget Starbucks banana walnut bread! Homemade ones are the bomb! 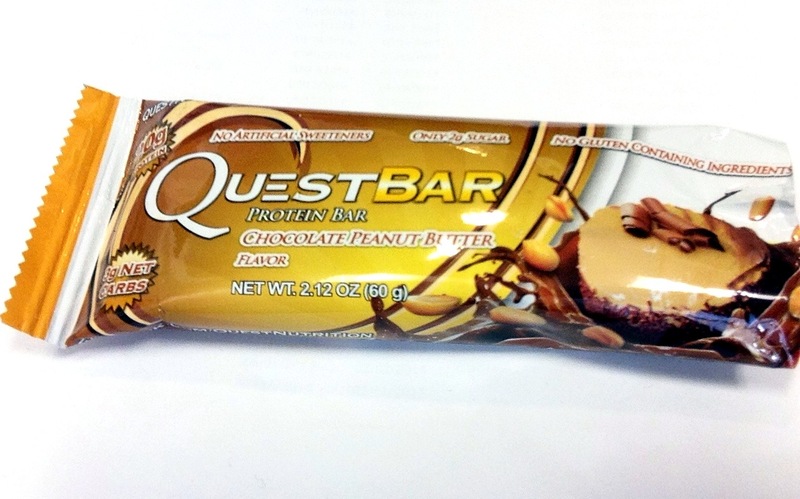 Ahhh I remember on this day I was running late to work so I ate this quest bar for breakfast. This flavor is AMAZING. 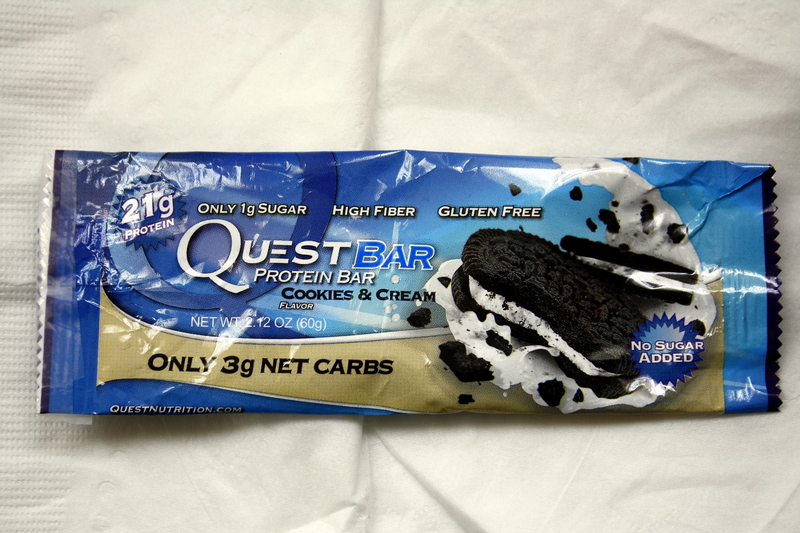 By far my favorite of the Quest Bar line. Tastes like eating a candy bar! I felt slightly guilty. Not really. 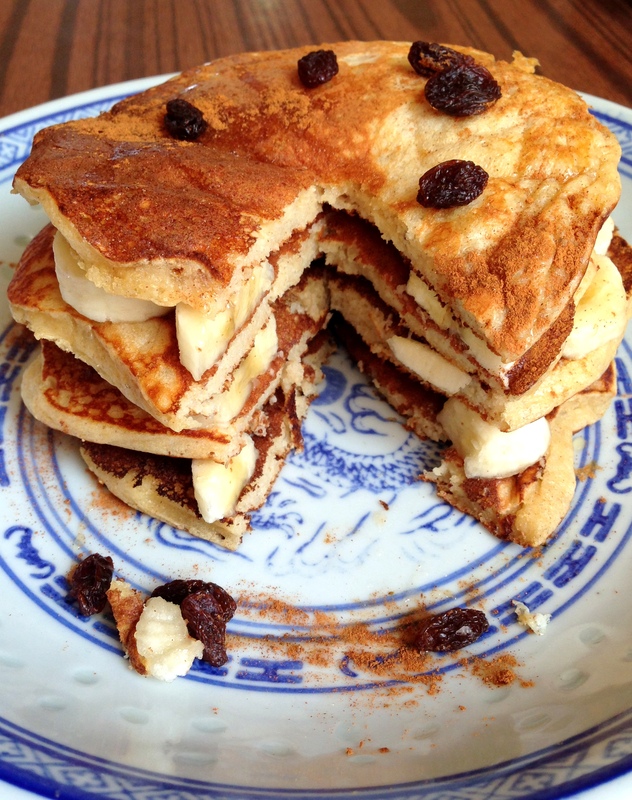 During the weekend, I tried making Blogilate’s banana/egg pancakes. Everyone raves about them. Mine came out like this. They just keep getting darker and darker! Maybe the bananas were getting ripened as I cooked them. These were okay. Definitely needed a side of maple syrup. 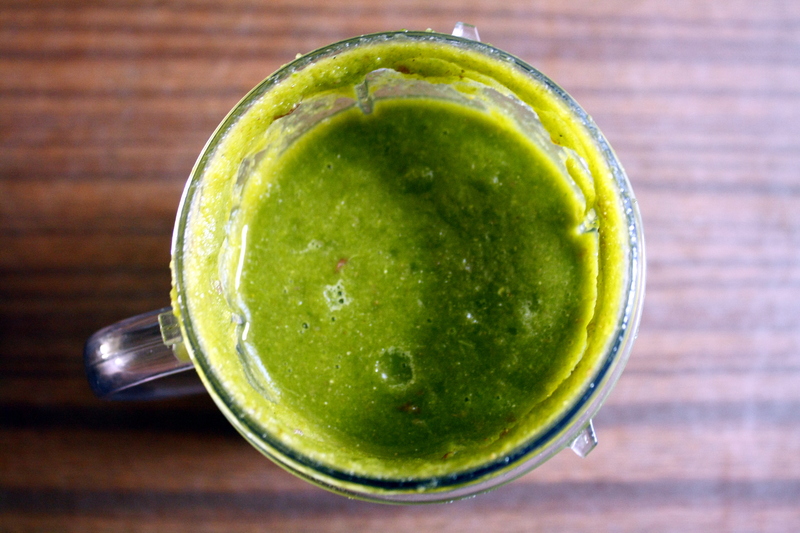 Can’t go wrong with green smoothies for breakfast! 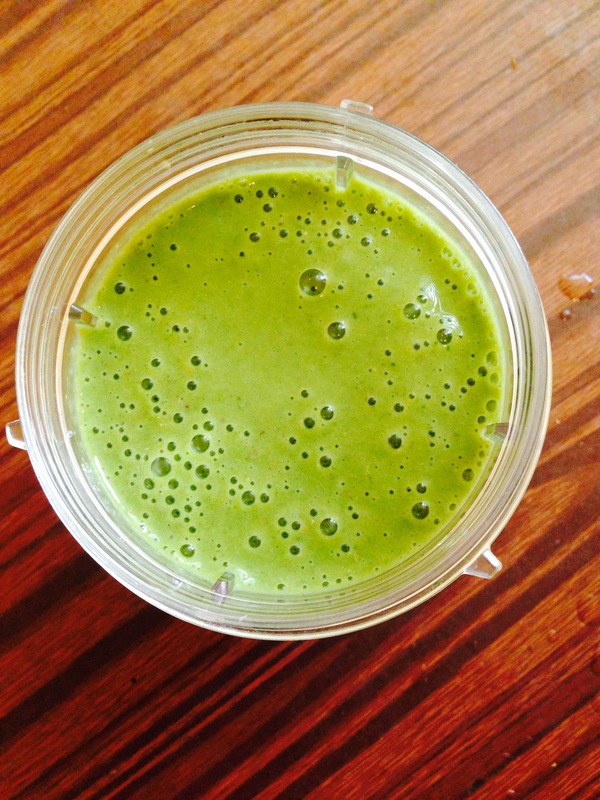 Packed with good-for-you nutrients from spinach, bananas, apples, greek yogurt, chia seeds, ground flaxmeal, cinnamon. This tuna salad on toast really hits the spot. 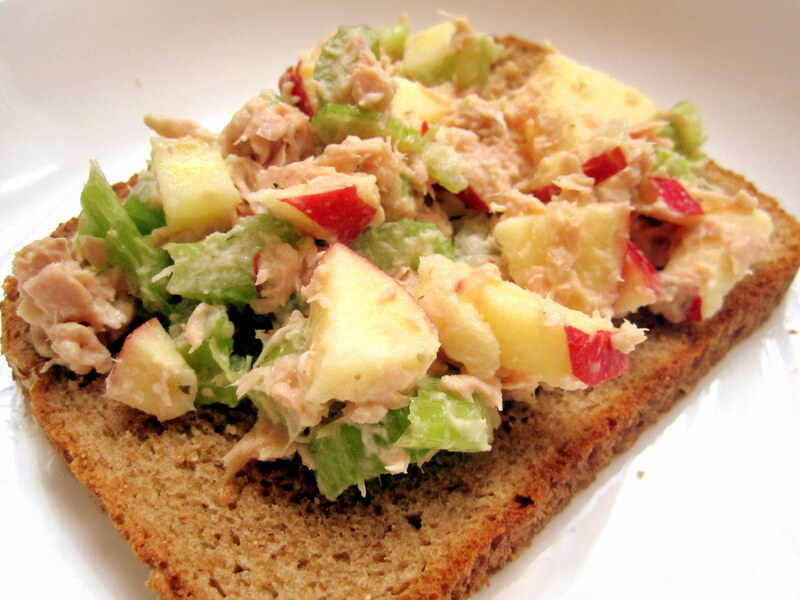 It consists of celery, tuna, apples, salt and pepper, squeeze of a lemon, and a greek yogurt-based dressing. My tummy is so satisfied after having two of these! 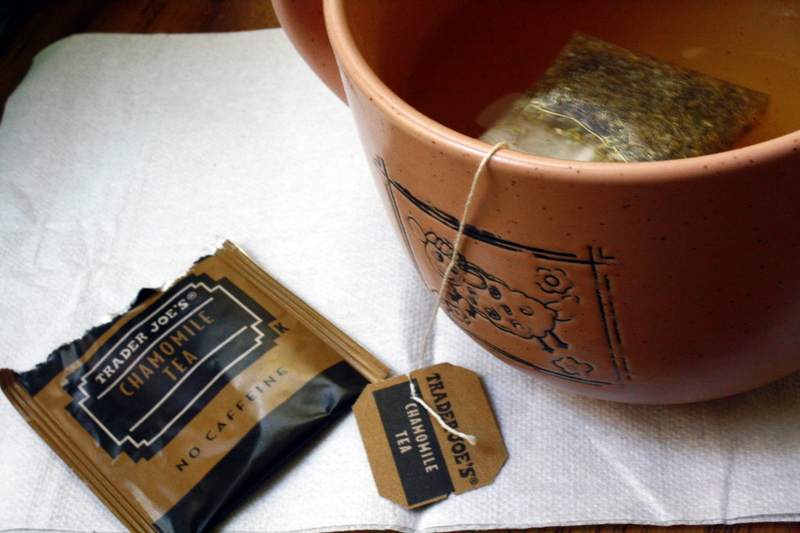 Lastly, wash everything down with a nice cup of hot tea. 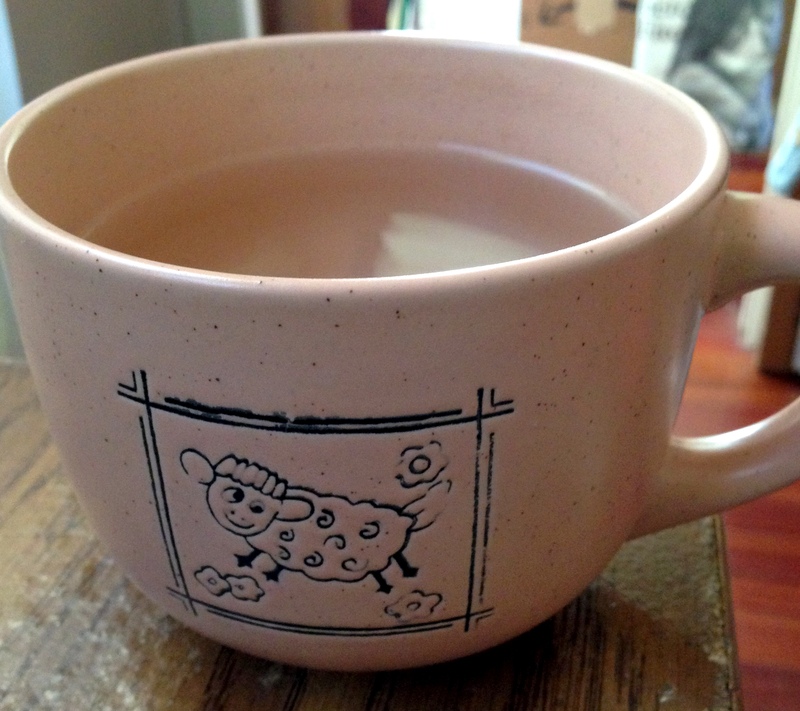 Current favorite: Trader Joe’s chamomile tea. What’s your favorite breakfast? What have you been loving lately? I’d love to know! One of my favorite comfort foods is chili. 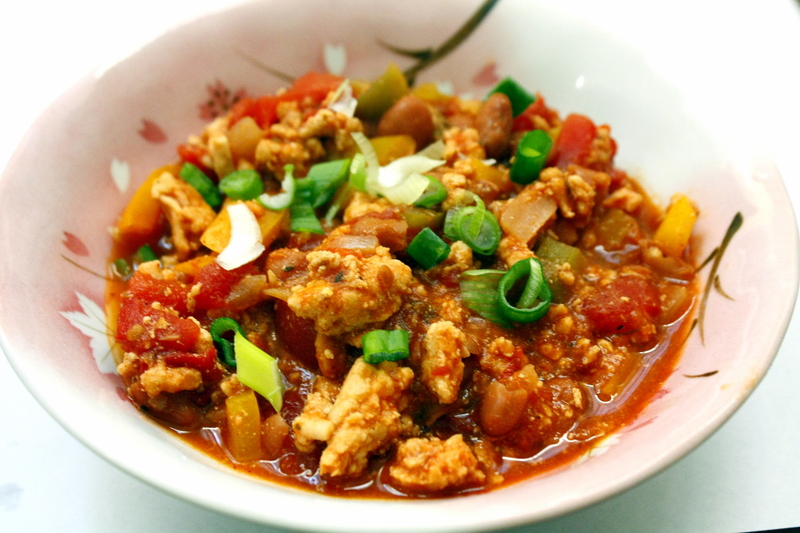 There’s nothing like having a big bowl of hearty chili on a cold evening. It tastes even better the next morning for breakfast! I’ve come to love just adding whatever ingredients I feel would make it tastes delicious, so this isn’t really a traditional recipe for chili. It’s so incredibly filling and I love the spices that lingers in the back of my throat after each bite. 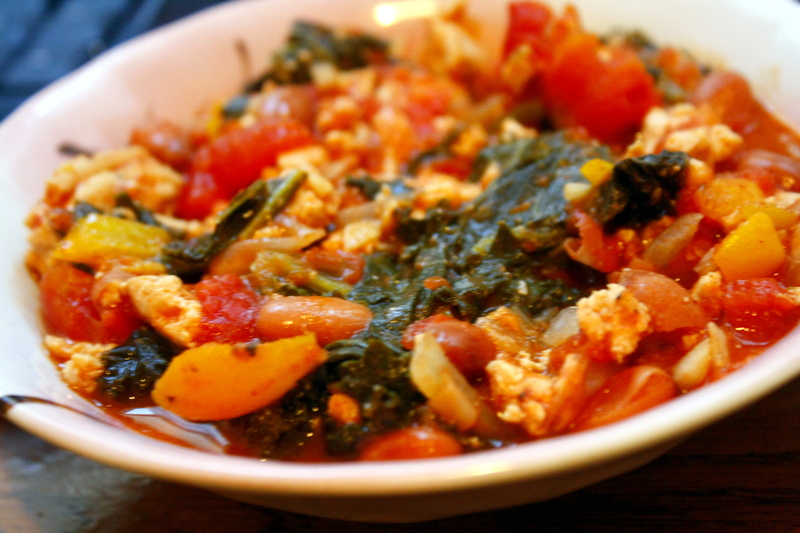 other veggies: kale, spinach, etc. Saute oil with onion and garlic until slightly browned and onions turn opaque. Add ground turkey and cooked until crumbled and browned. Add the rest of the ingredients and cook on medium heat for ~30 min. 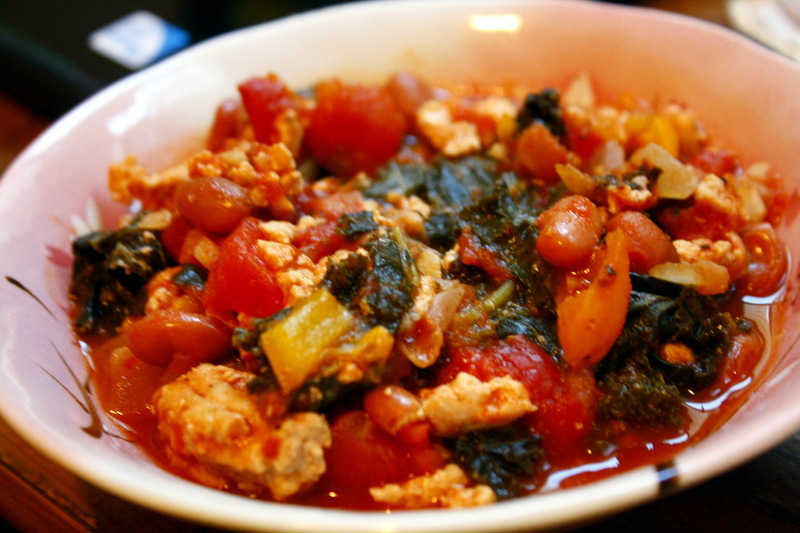 If you like your chili more thick and less liquid-y, you can mix in cornstarch or flour. 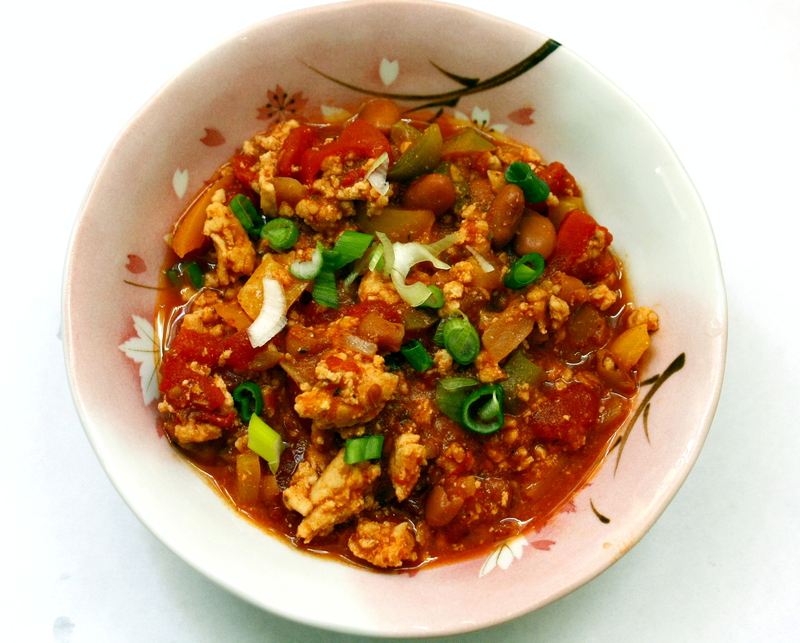 Taste your chili and add more seasoning to your liking. made it again, this time I added kale and spinach! Kashi is known to have very tasty and healthy cereal options but I haven’t tried their bars until now. 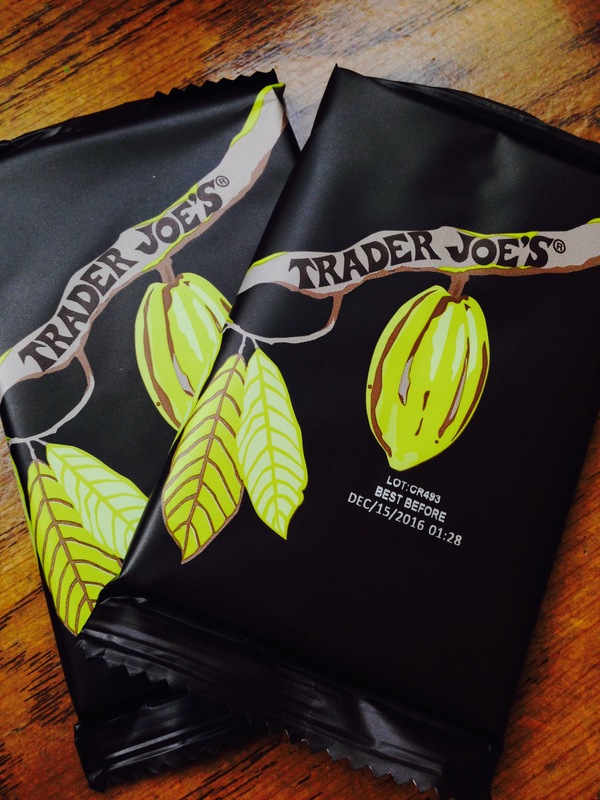 I generally liked these; even though this has 7g of sugar, it is not as sweet compared to Trader Joe’s peanut butter bar. 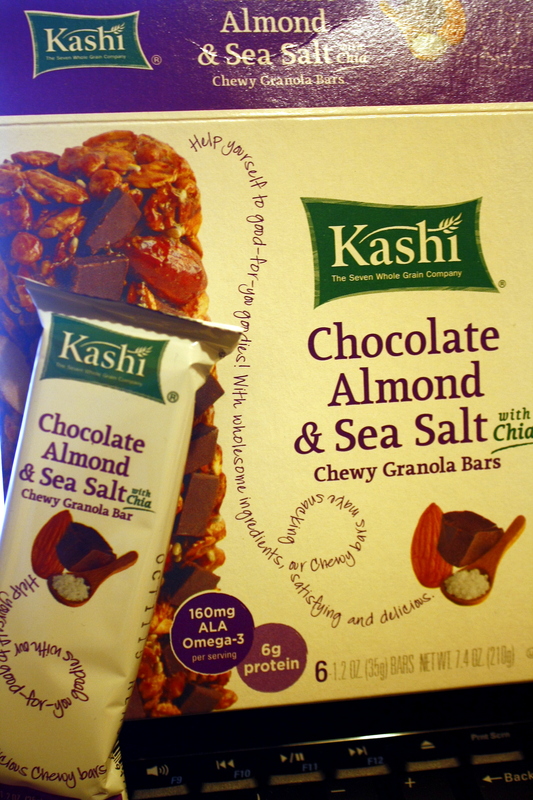 I like that Kashi uses a heart healthy “whole grain blend” and the almonds give it a natural and hearty crunch. 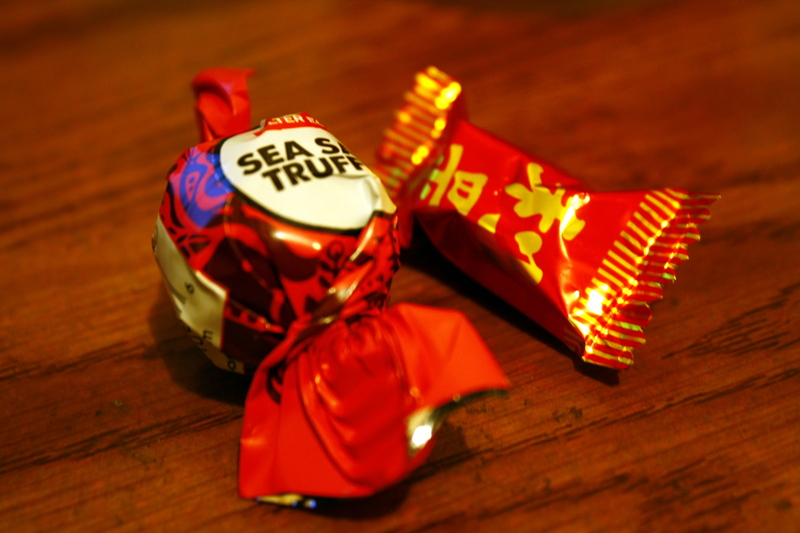 I can definitely taste the sea salt, which initially surprises my tastes buds, but it actually works well paired with the semi-sweet chocolate pieces! I wouldn’t pick these up very often since it can be pretty pricey – around $3.99 per box at Safeway. 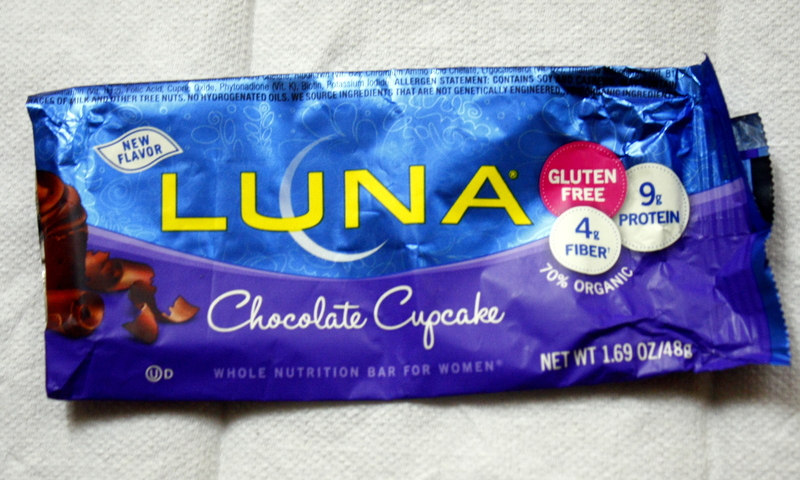 Luna Bars have been one of my favorite nutritional snack bars ever since college and I was first drawn to these because they were made primarily for women. I’ve tried a number of they’re products and have not found one that I haven’t like! 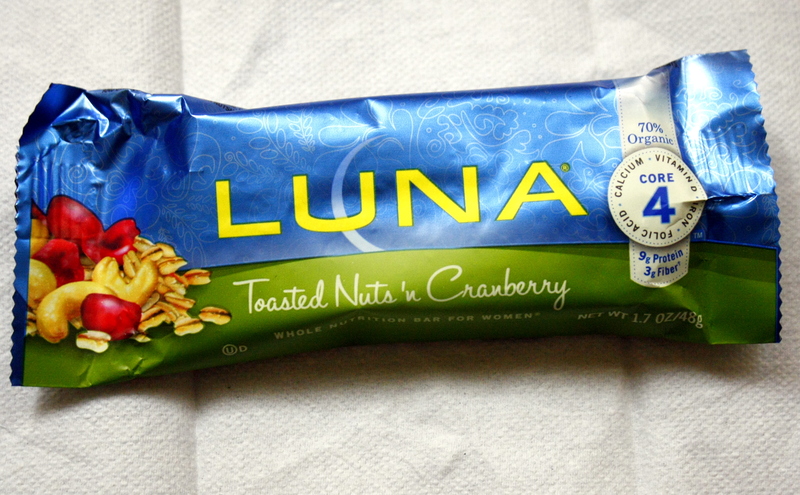 I recently tried the Toasted Nuts N’ Cranberries, and I really liked this one! It tasted and smelled awesomee. 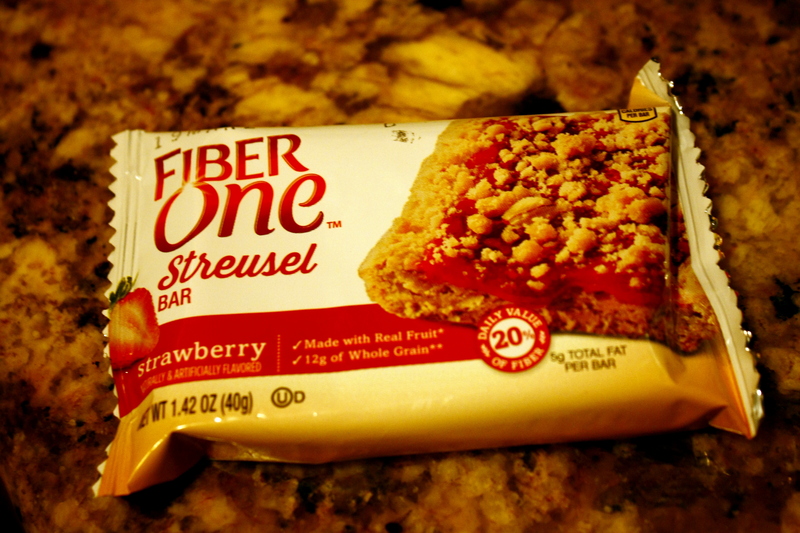 It is reminiscent of Quaker Oat’s chewy granola bars and brings me back to my childhood! 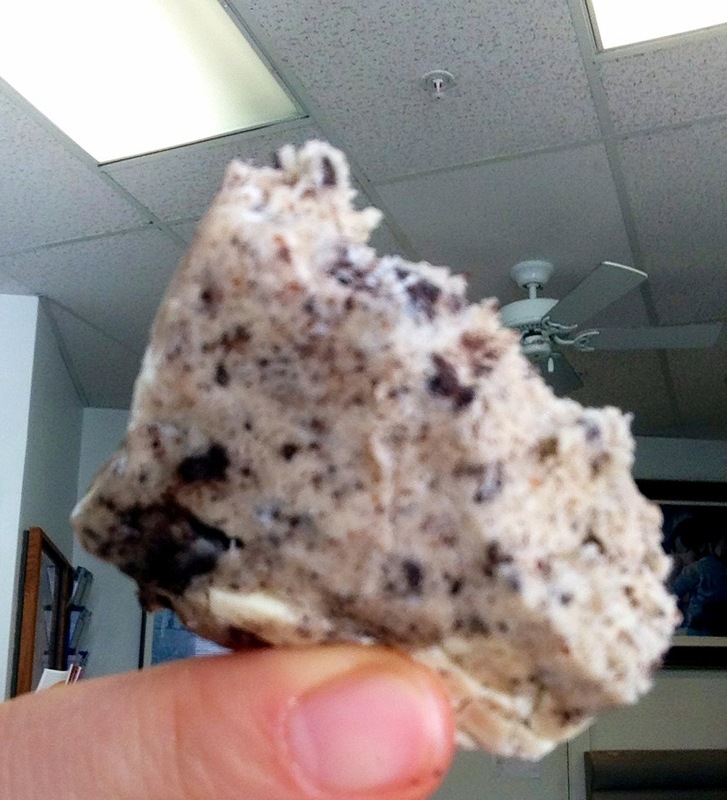 😀 I like its chewy texture; it felt like I was eating a homemade oatmeal raisin cookie (my favorite!). These are a little higher in sugar with 11g of sugar, but they also have 9g of protein and 3g of fiber! 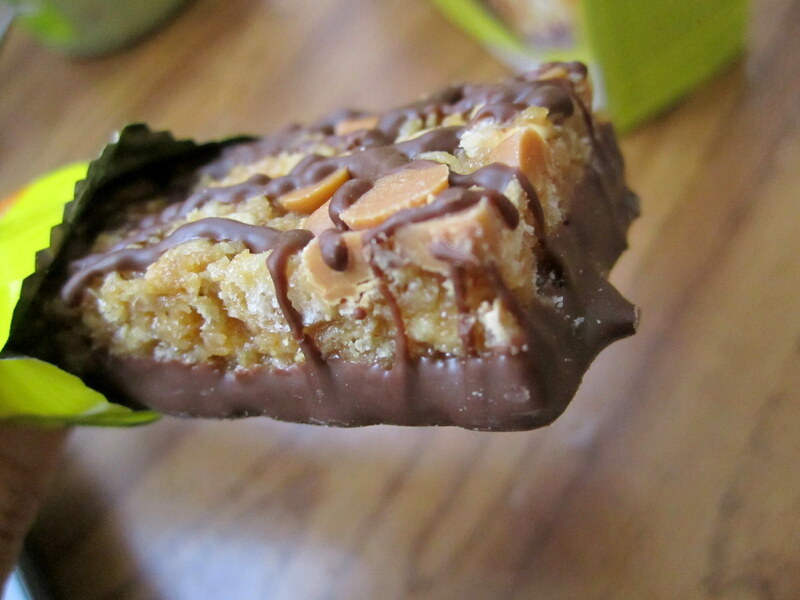 Ohmygoodness these bars are absolutely delicious! 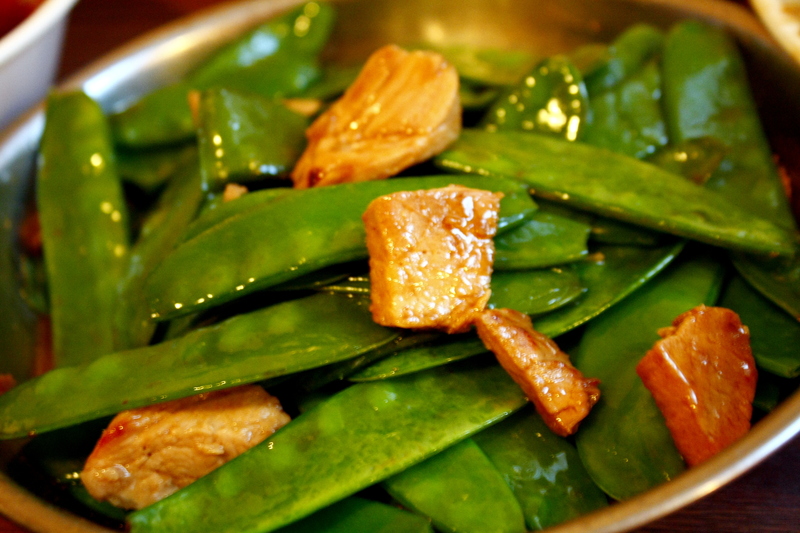 I almost feel guilty eating one almost every day (my mom brought home a huge box of it-yay!) 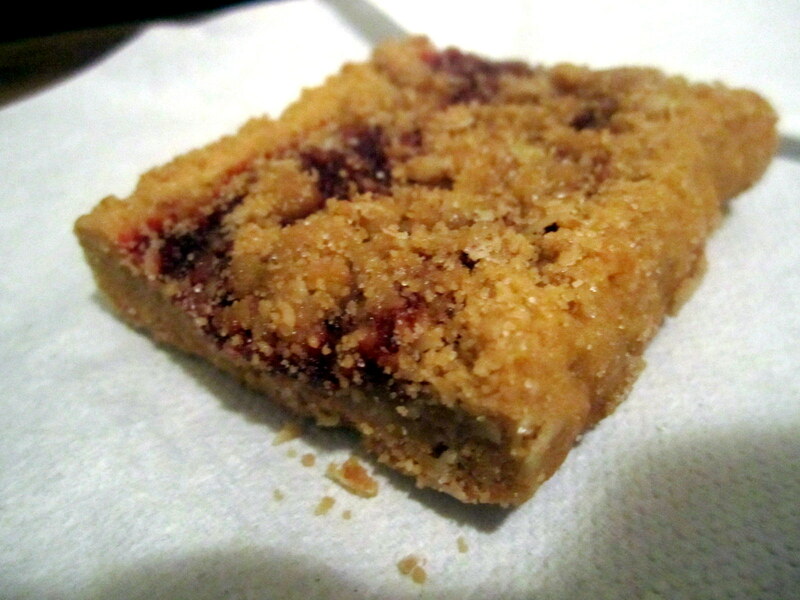 because it tastes like a decadent streusel dessert that I can eat with vanilla ice cream. How are these made of whole grains and taste so good?! It is packed with 5g of fiber, 2g of protein, and 9g of sugar. I’m so happy about my latest discovery! I was looking for something to fill me if I got super hungry at work and these were awesome because it contains a whooping 17g of fiber and 20g of protein! I know I’m not working out or anything, but these just taste good and keeps me full. 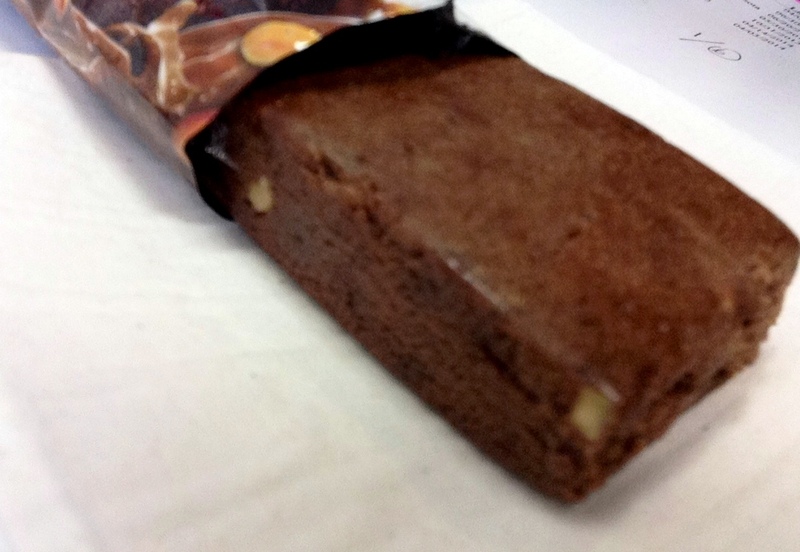 These bars have a different texture than the bars previously mentioned; it’s kind of like a chewy, fudge-y brownie. 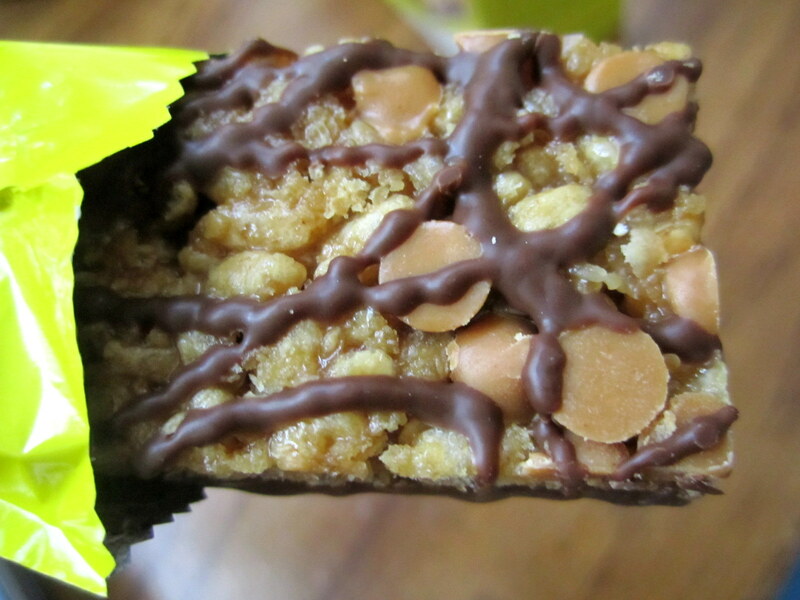 I like the little crunch from the crushed peanut bits throughout the bar. 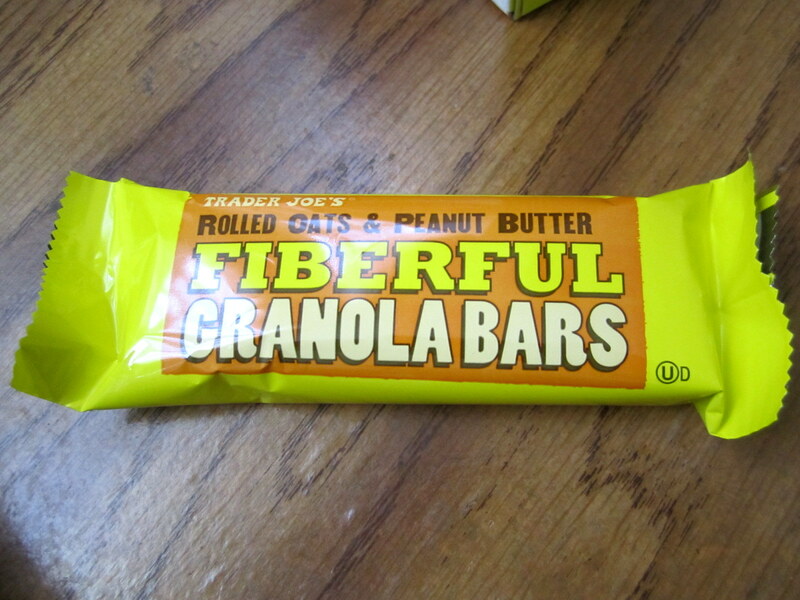 I did some snooping around the internet and learned that these are some of the best quality protein bars out there. I would definitely go for these from time to time. 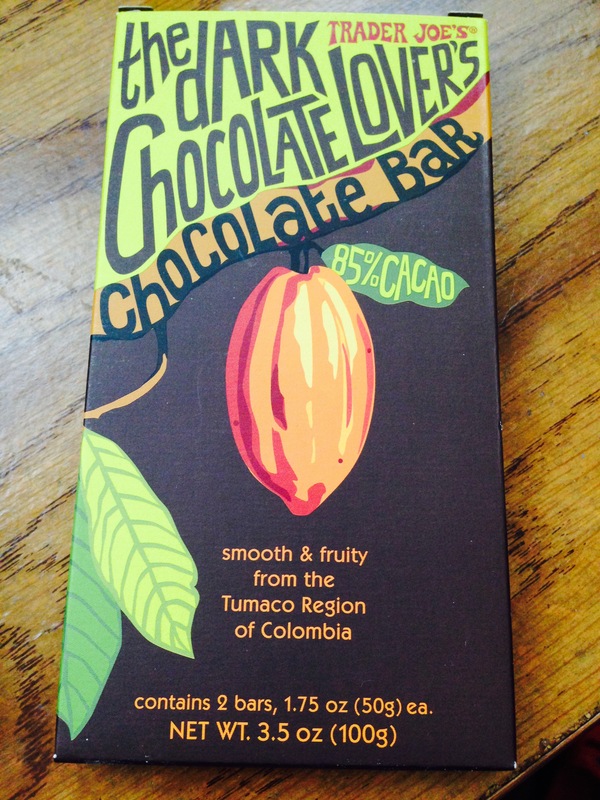 It is a bit pricey for a bar, it can go up to $2.99 PER BAR at some stores. 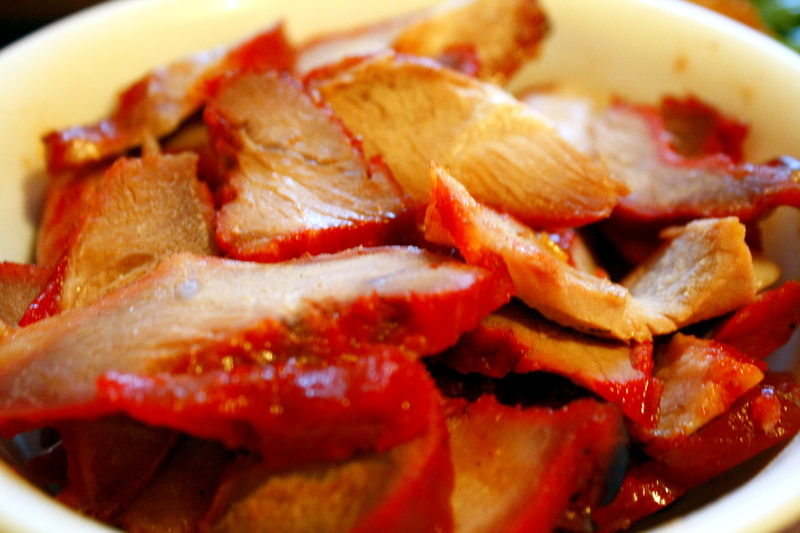 I’m so excited that tomorrow is Chinese New Year! I’ve been seeing so much Chinese new year festivities and goodies selling at the markets lately -new year candies, bright mandarin oranges, dangling flower ornaments, red envelopes, I can just go on and on! As I’m typing this late at night, I hear firecrackers exploding in the distance. People on the streets sure are having fun with those the past few hours! 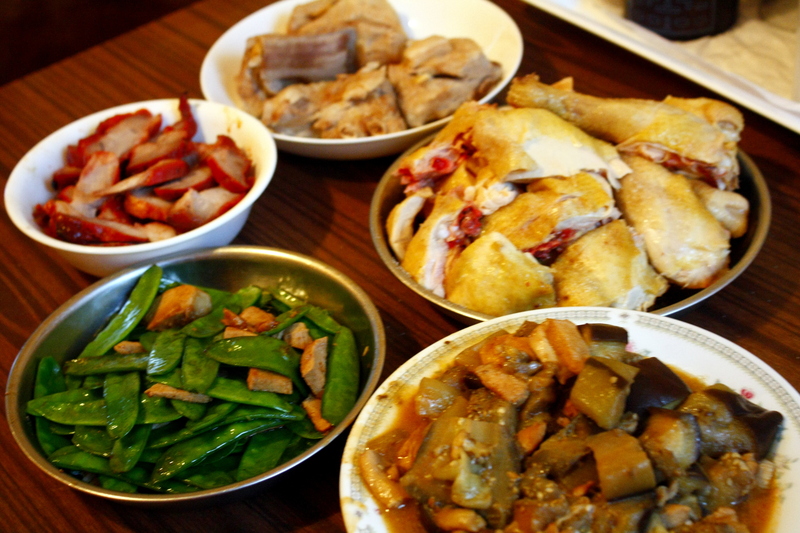 Chinese New Year Eve is known as Reunion Dinner. 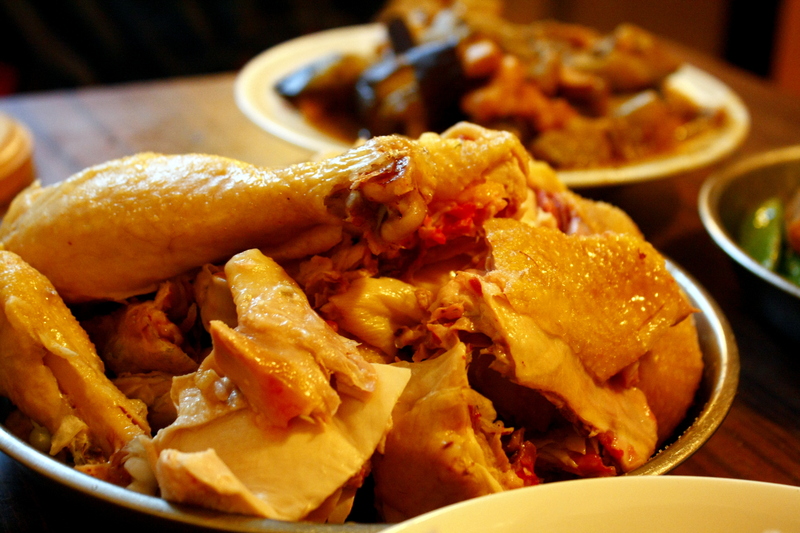 It’s a day where relatives from all over would fly home to enjoy a huge feast with their loved ones. I don’t have any family members that fly from far away as most of them are in the States. I remember having large family gatherings as a child, but I as I grew older and my family grew with me, I realized that we have grown apart and stopped having family gatherings, even to go out to yum cha (drink tea eat dim sum). I suppose it’s because my grandparents used to be the heads who brought everyone together, but now that’s not possible due to health reasons. So over the years, it has just been my family of three enjoying a nice meal together. 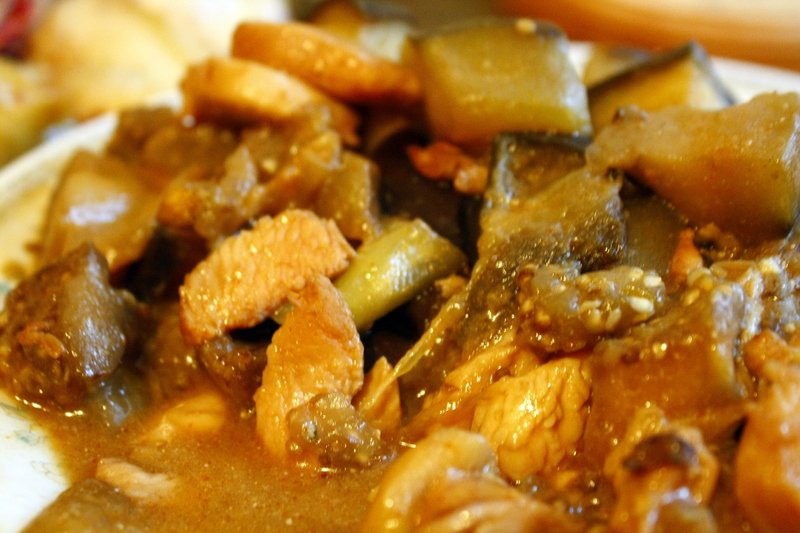 This gives my mom the chance to whip up a scrumptious homecooked meal! gotta have some chocolate and Lucky new year candy! Even though I was beyond full, I also ate some fruit and crackers later in the evening. Good stuff. 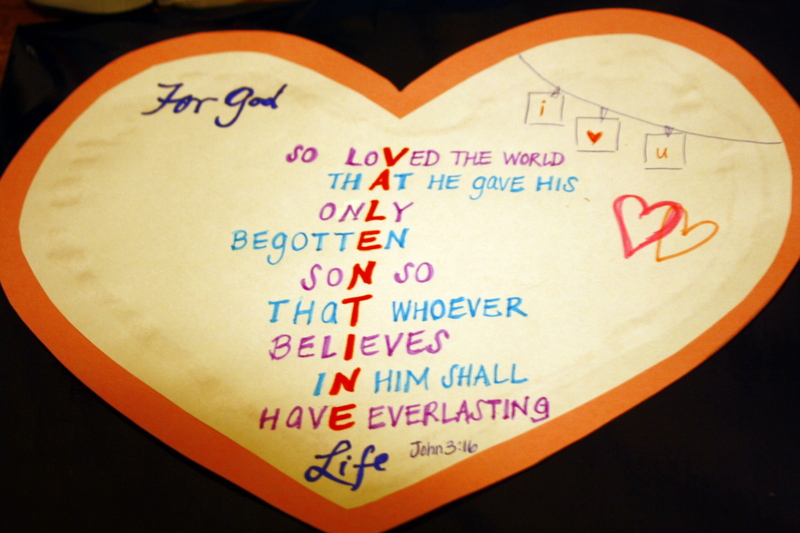 How was your valentine’s day?? 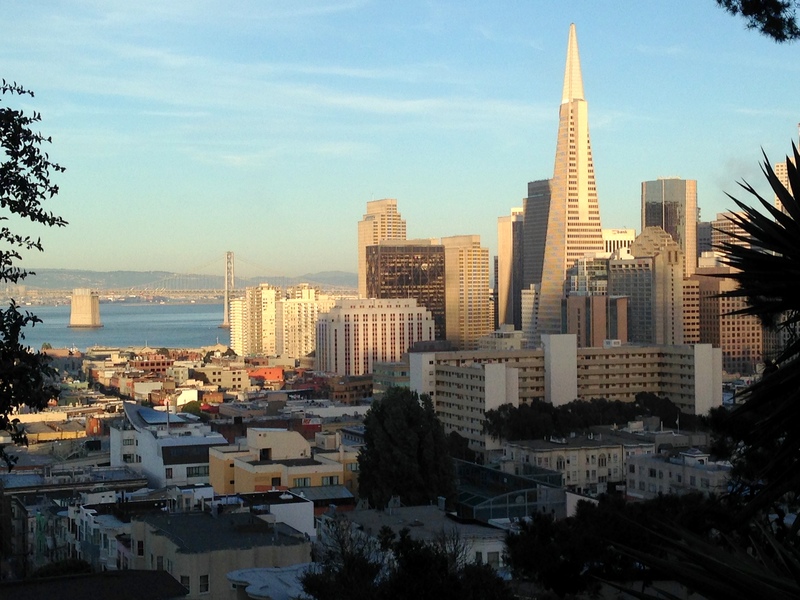 I’ve been blessed with such great weather in San Francisco lately, it doesn’t even feel like winter anymore! 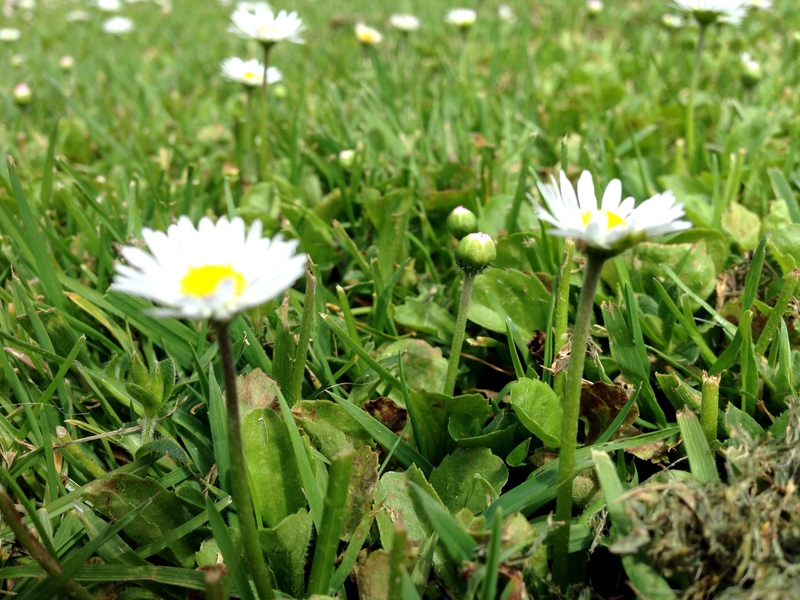 Anyone else excited for spring to come already?! Actually, I’m more pumped that daylight savings is going to happen soon which means it’ll be still bright out at 7pm! Hooray! 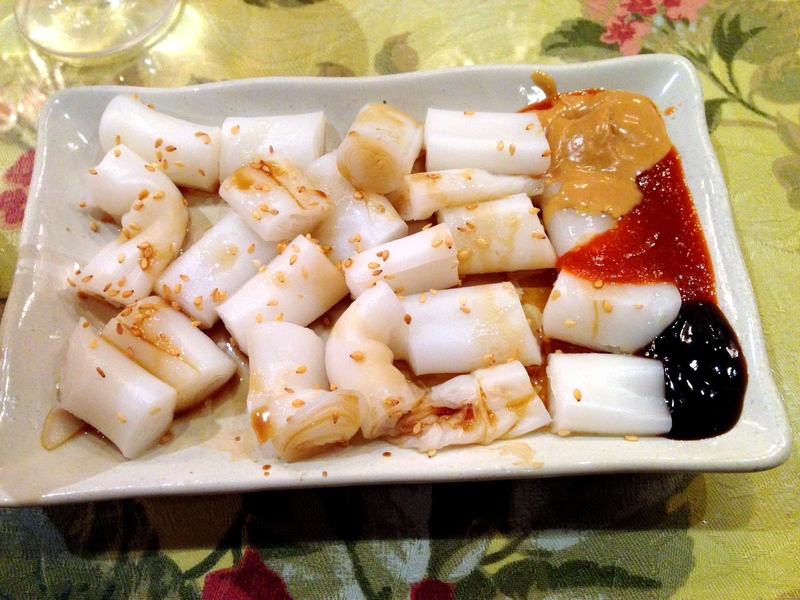 Rice noodles with pb, sirracha, and oyster dipping sauce! Although my boyfriend’s primary way of expressing love is not the language of gift-giving, I am grateful for his efforts whenever his gives me a thoughtful gift because it shows he is trying to improve in areas he knows he might not be the best. I guess we complement each other in that way! 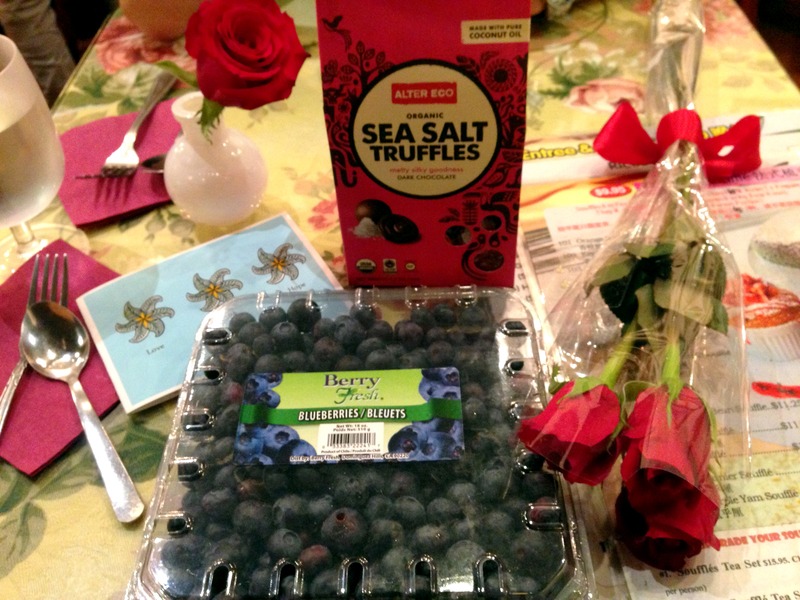 🙂 I received 3 roses, a giant box of blueberries (my all-time favorite fruit! 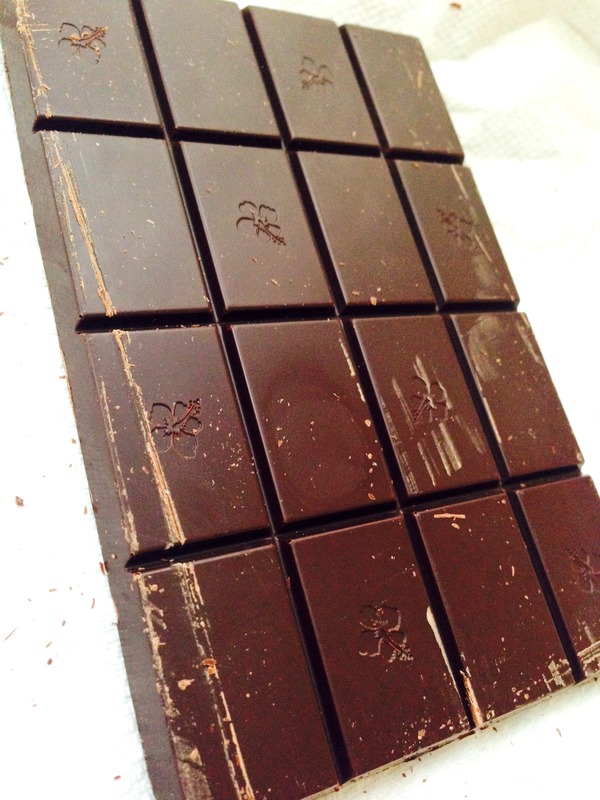 ), a box of organic sea salt dark chocolate (I love dark chocolate! 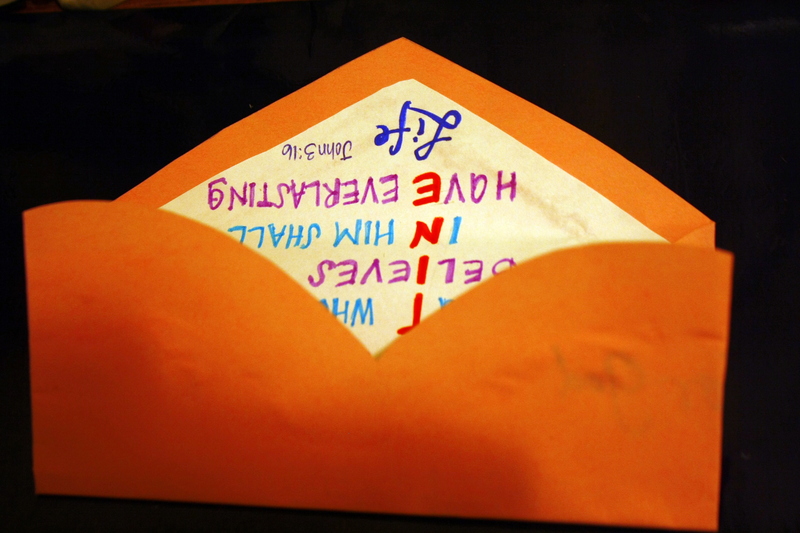 ), and a sweet card. 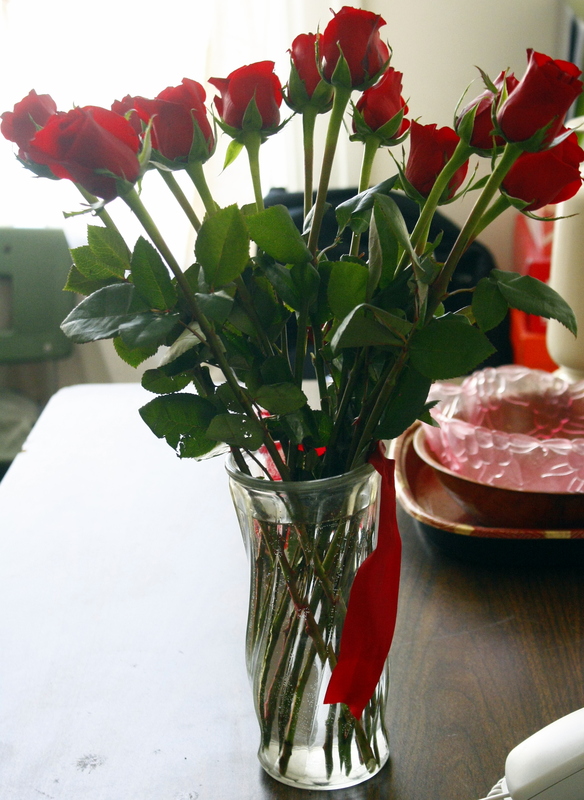 He presented me 3 roses because this is our third valentines day together! Does that mean I’ll be getting 60 roses if we reach that far?? :D) At the end of the night he gave me the rest of the dozen flowers since it would just go to waste. Hahaa we joked that he could give the rest of his other dates later in the night. LOL. Overall, it was a nice but short reunion; however, every opportunity we get to see each other is a blessing to be celebrated. 🙂 How did you guys spend Valentine’s Day? Whether it was spent with friends, family, or your significant other, I hope you had a wonderful and memorable day spreading the love. Even if it was an uneventful day for you, I hope that you can see what a valuable, unique, and beautiful person you are, created to love and be loved. And I want to let you know that God loves you so deeply that we as mere human beings can never truly understand. And that is why you deserve to love yourself and extend that love to others around you. I hope you have a wonderful week!